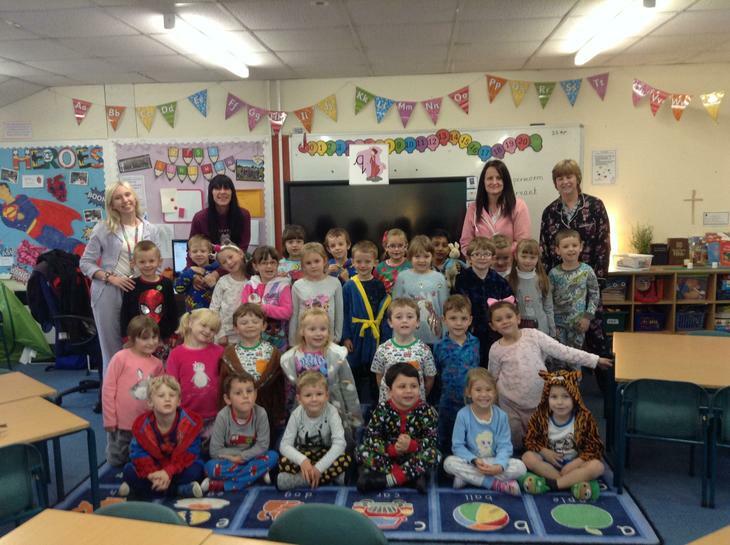 The fabulous staff in Year 1 are Mrs Eksteen, Miss Longman, Mrs Colledge, Mrs Drinkwater, Miss Bigg, Mrs Yates and Miss North. 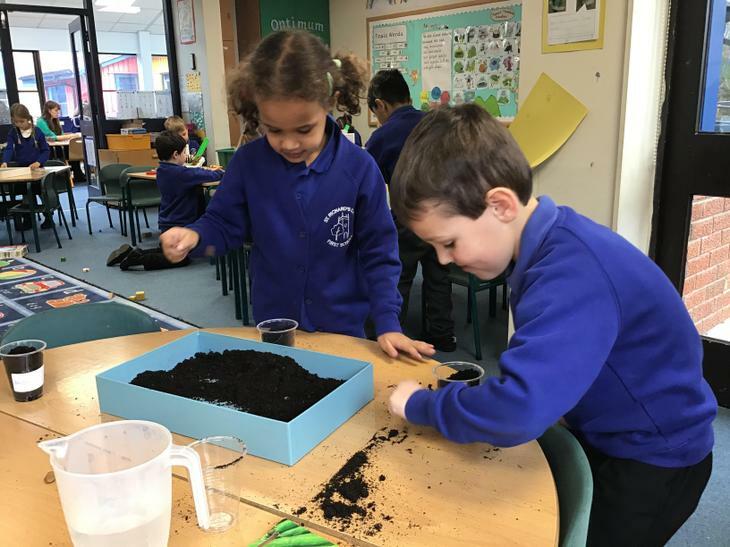 This week in year 1 the children have set up their own experiment. 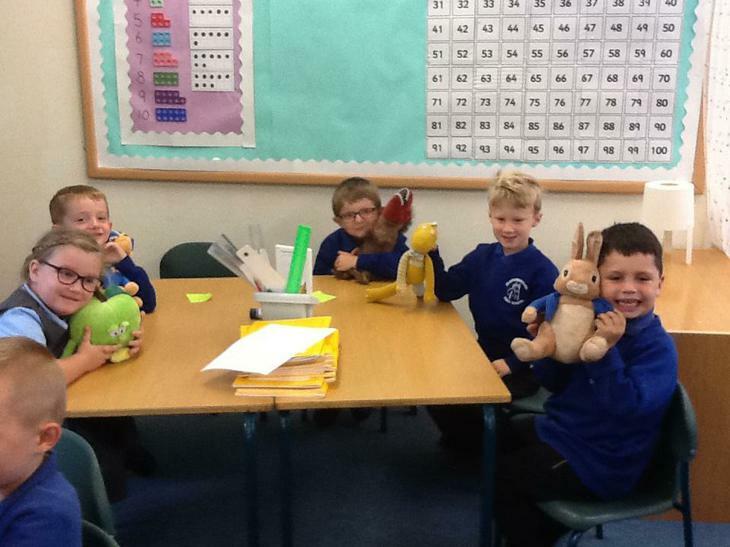 We have been learning in Science about what animals like to eat. 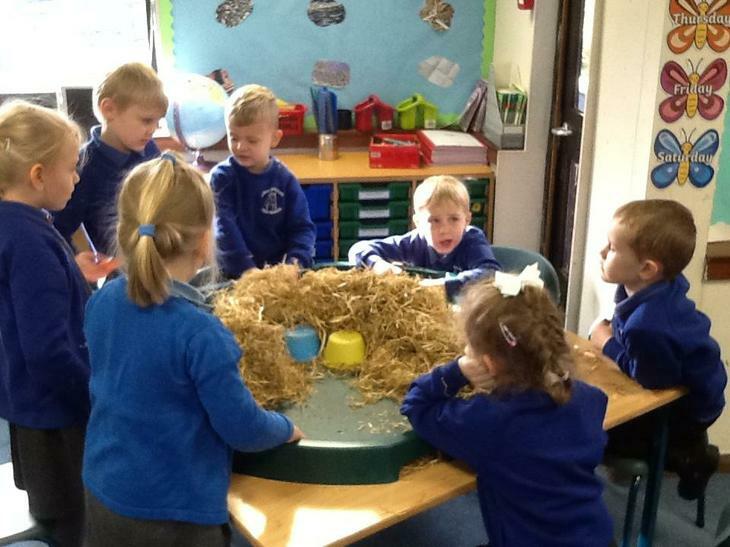 To investigate this we have set up a bird feeding experiment. 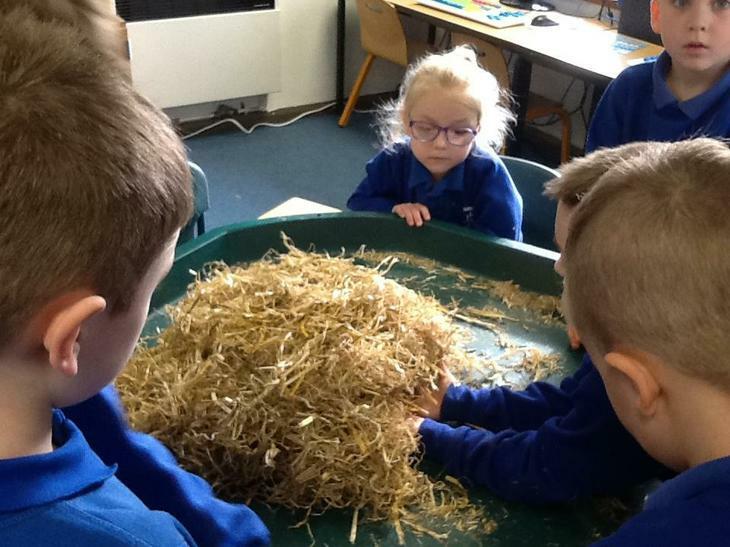 We measured out fair amounts of different bird feeds and we are now waiting to see which the birds eat the most of over a week. 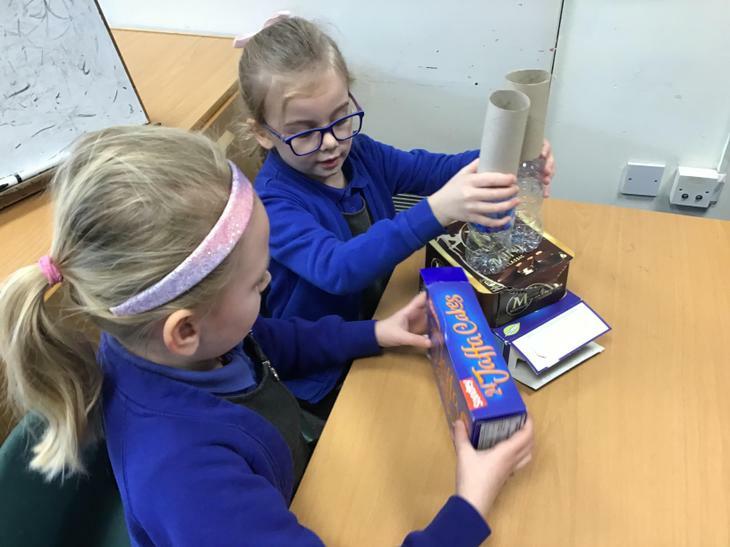 We have made our own predictions but can’t wait to see which food the birds will like the best! 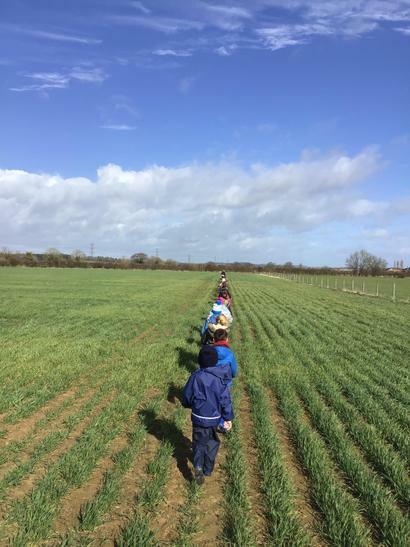 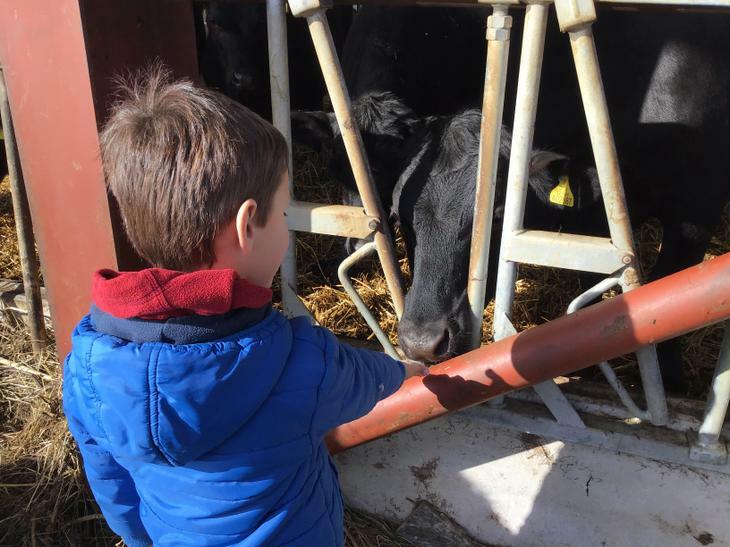 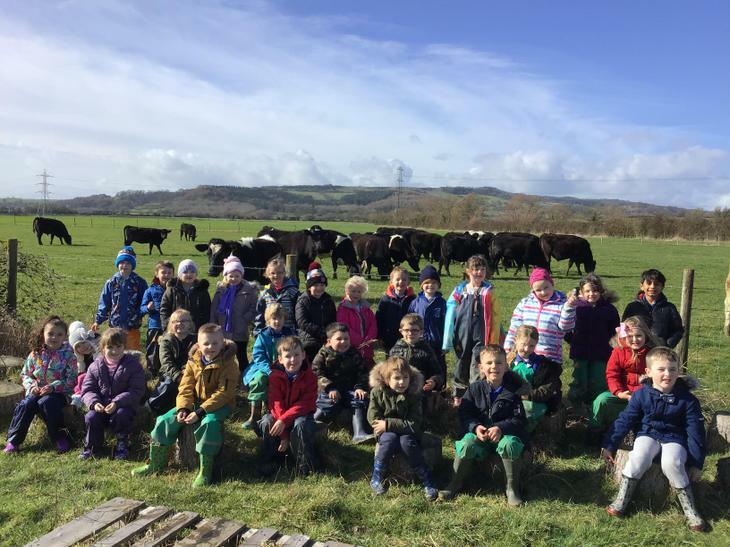 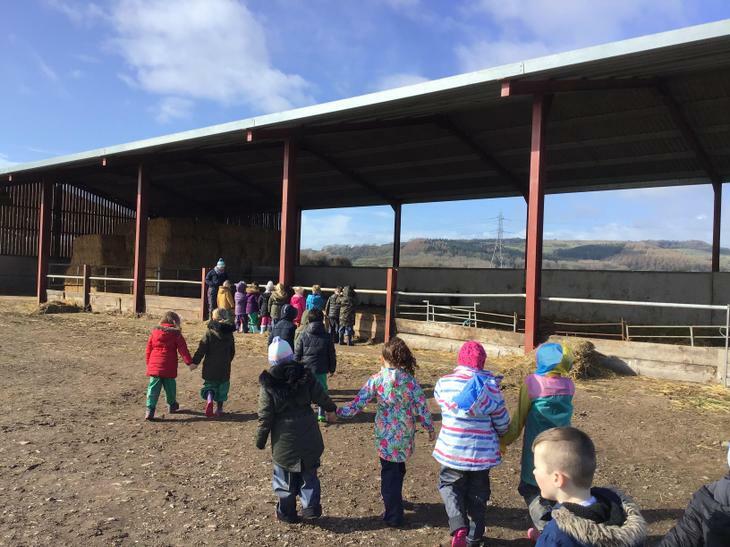 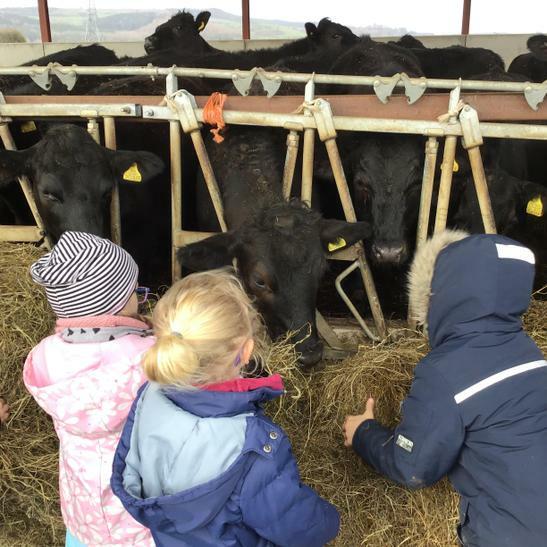 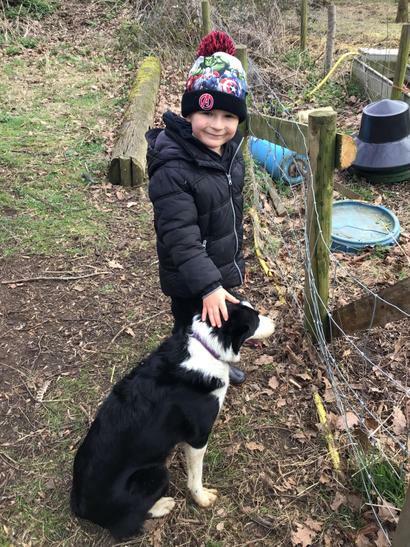 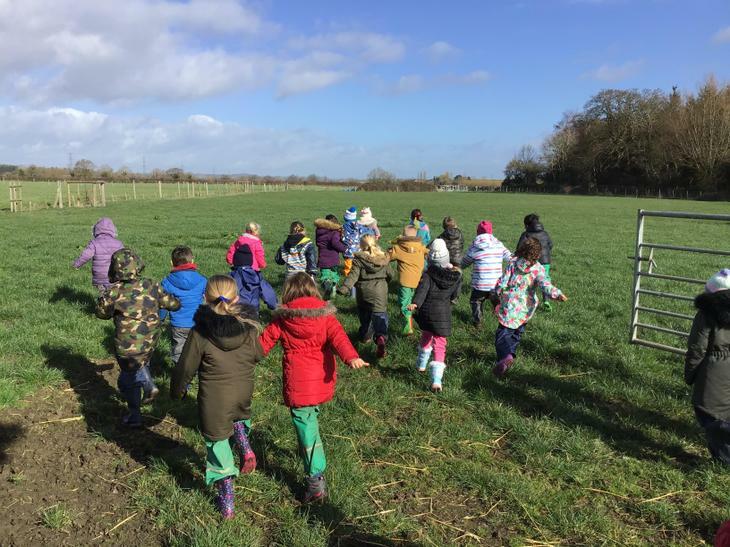 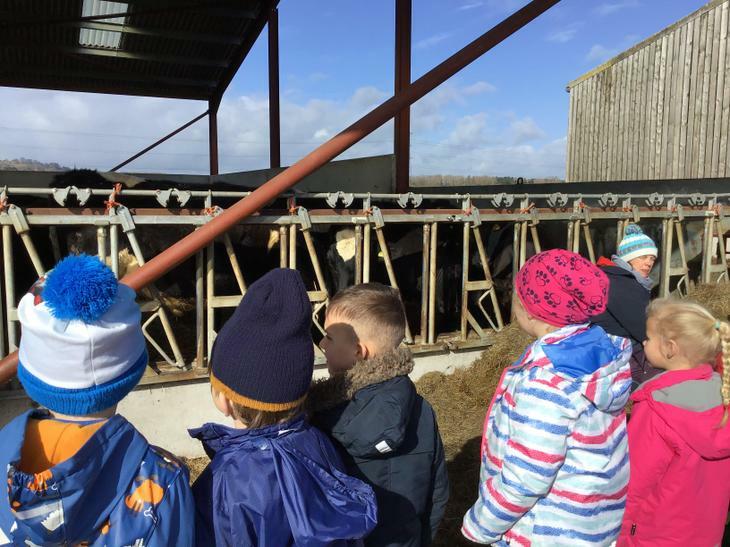 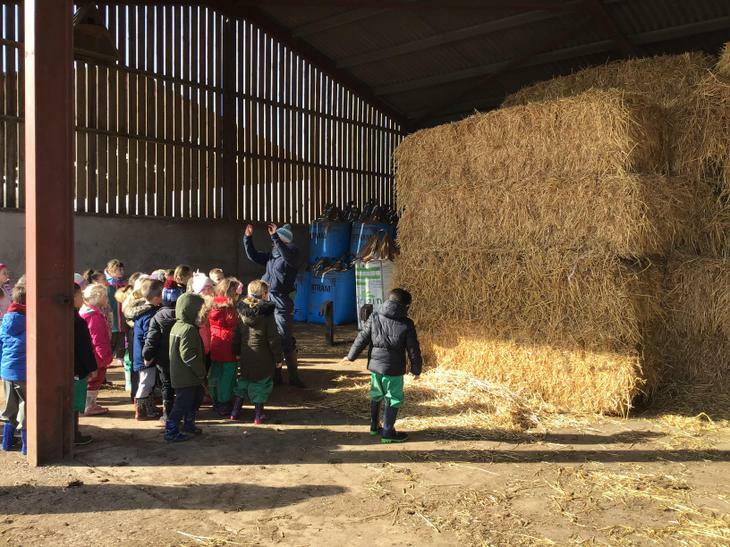 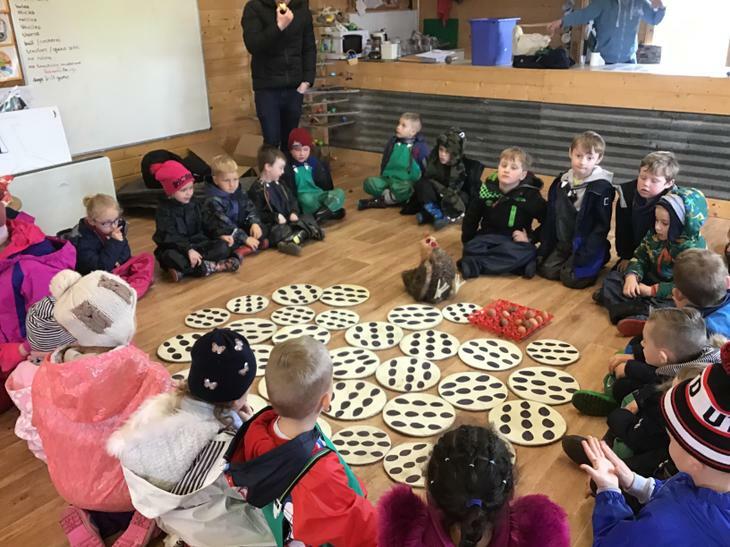 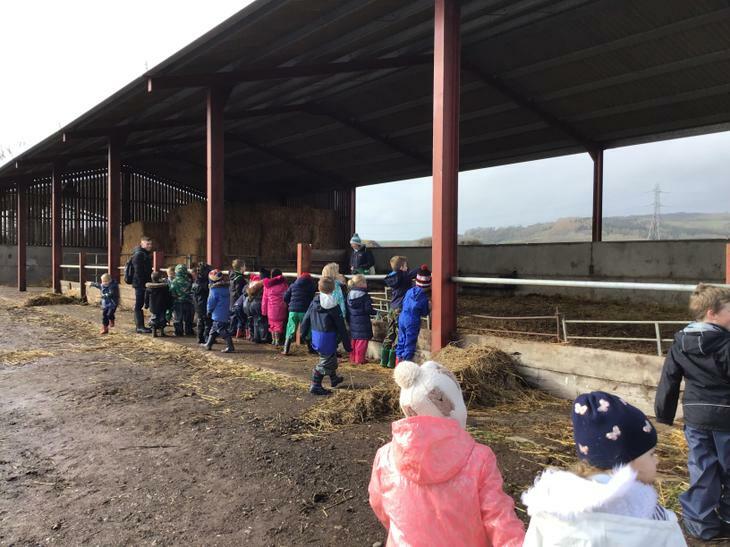 To launch our farm topic we were lucky enough to have a visit to Sandfield farm. 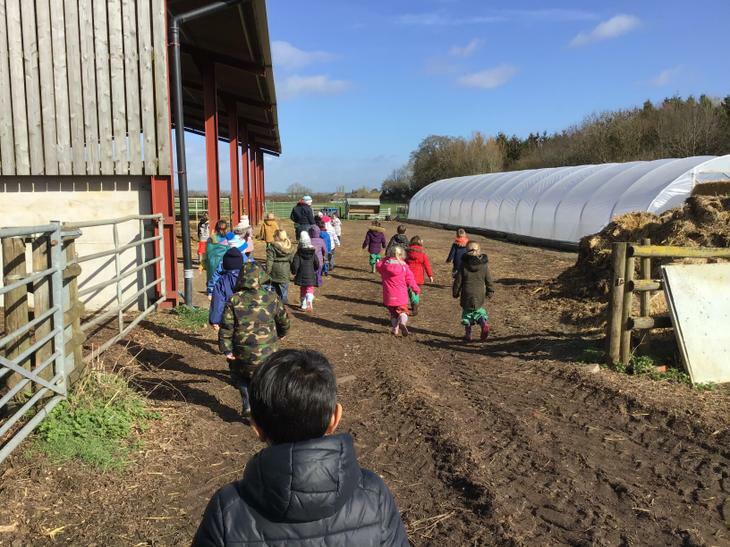 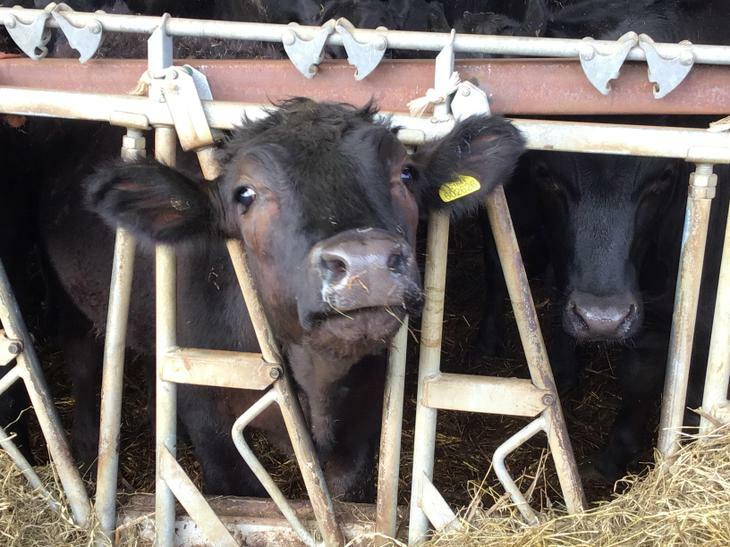 We saw loads of farm animals including cows, pigs and chickens. 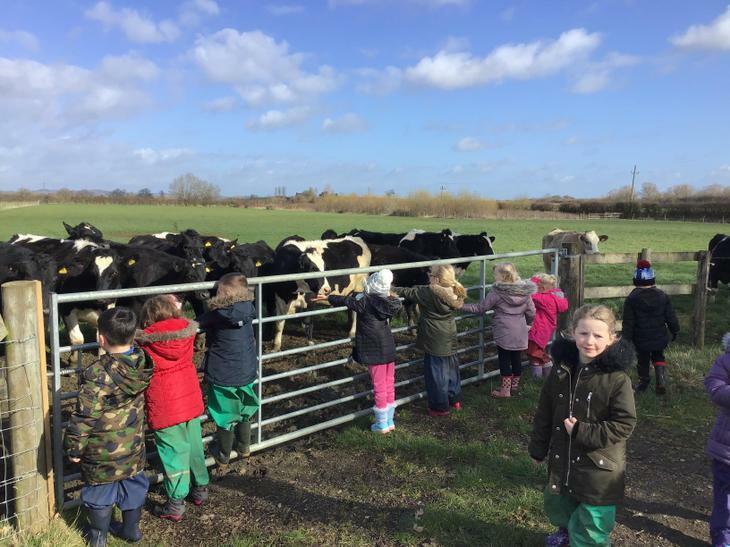 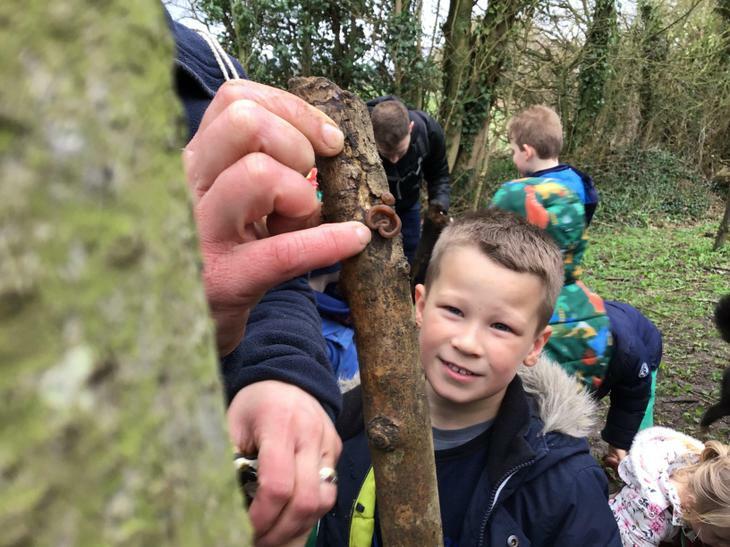 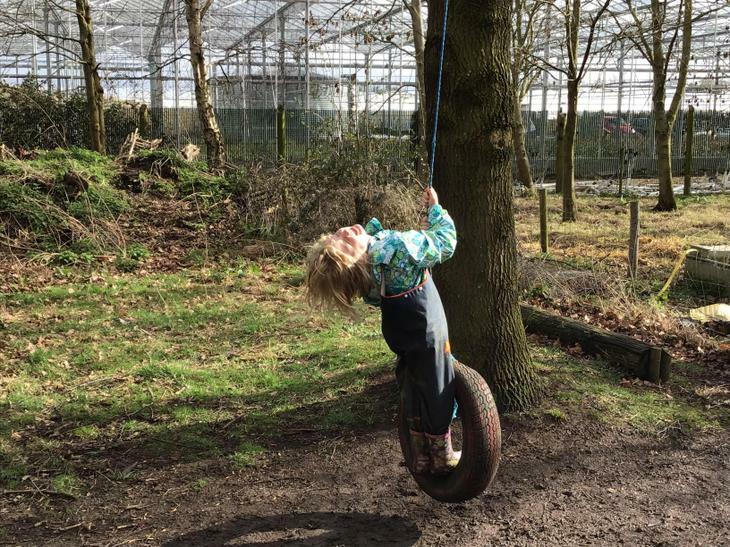 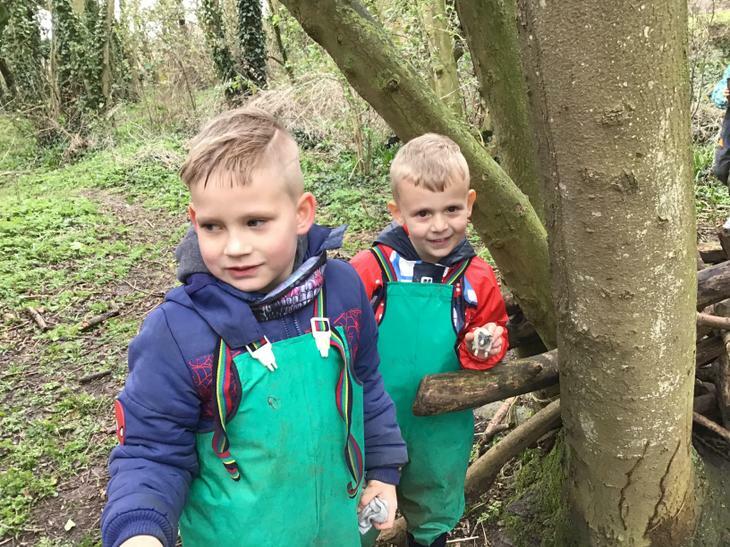 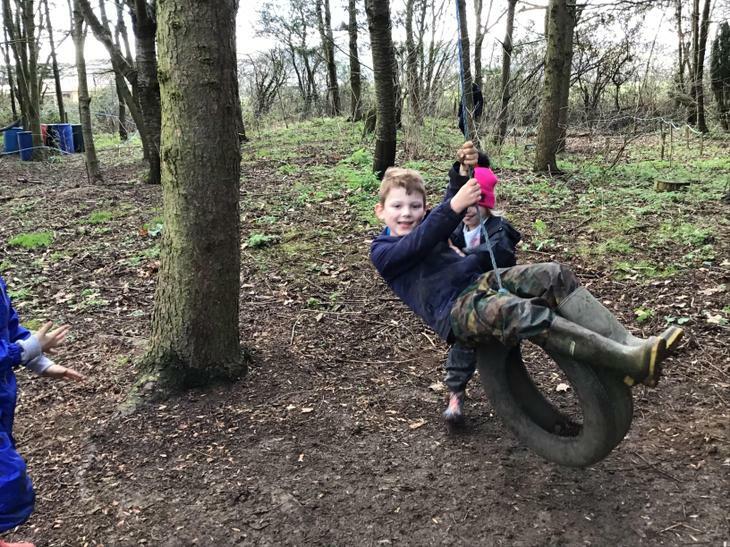 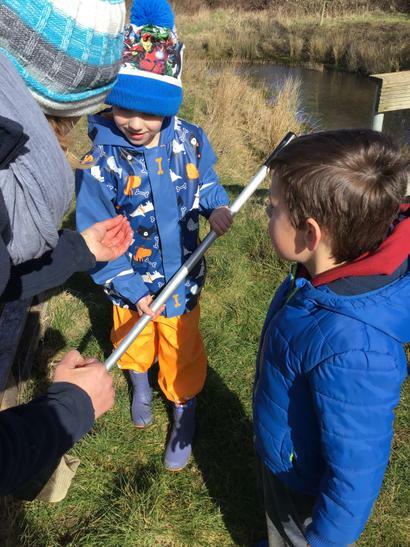 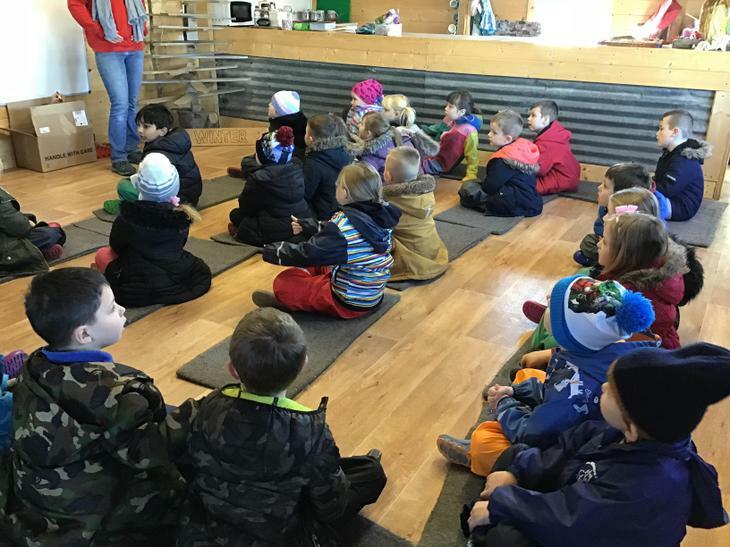 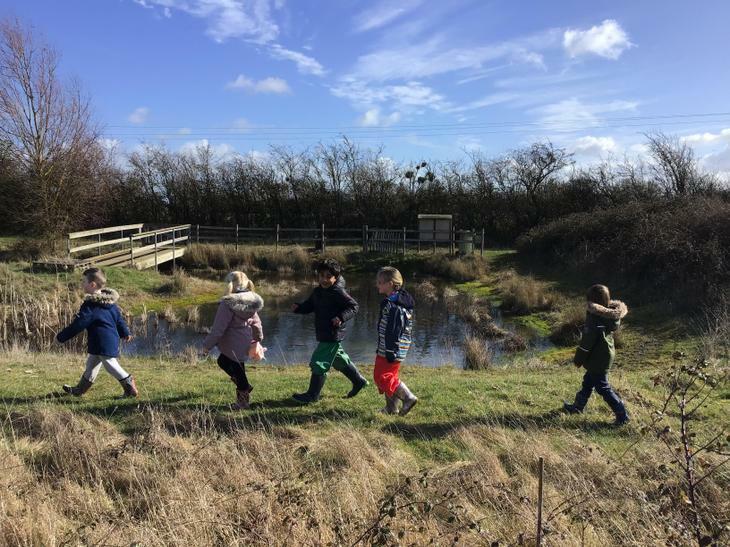 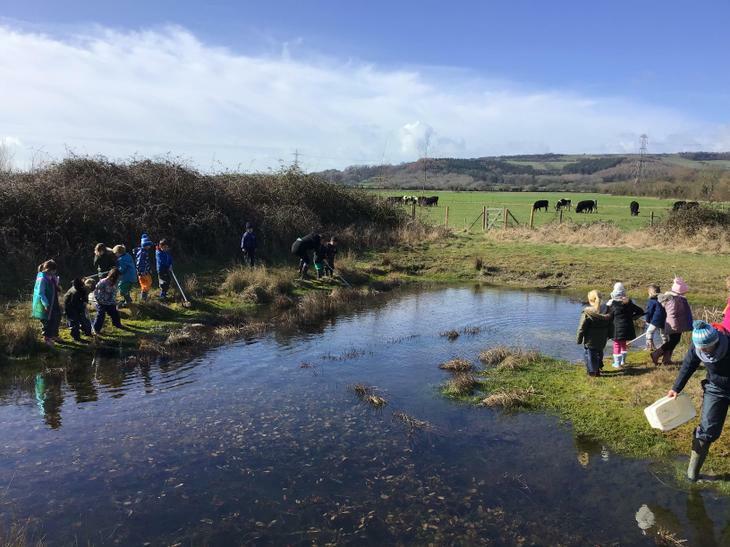 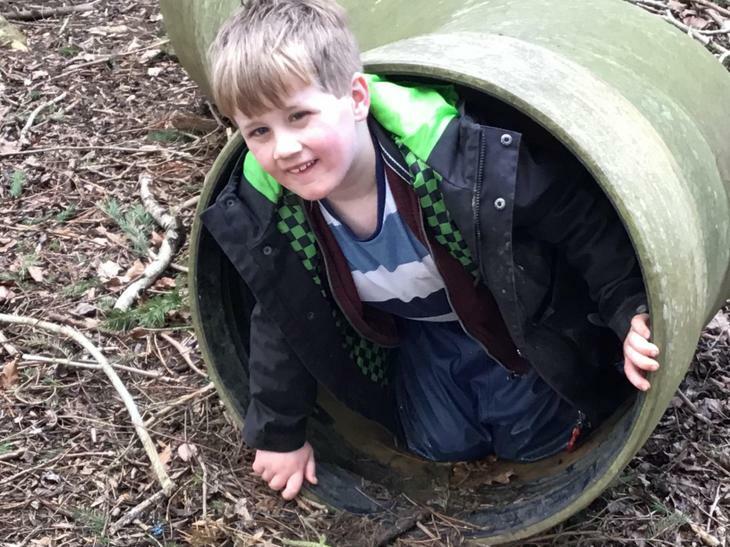 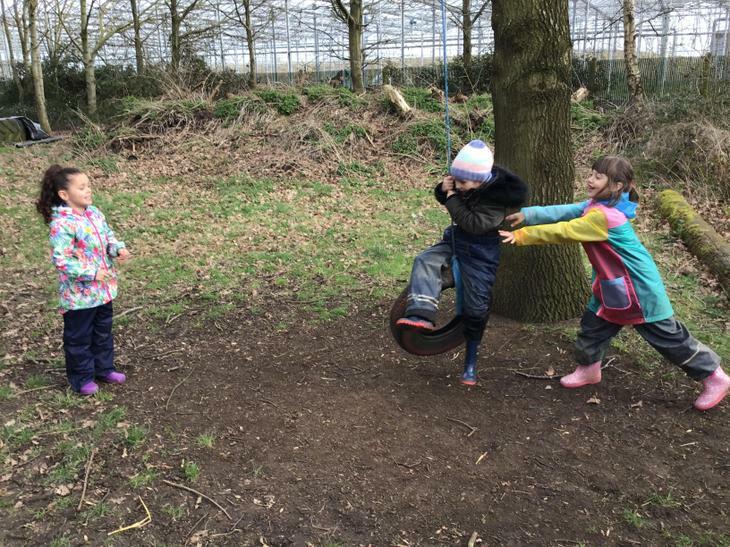 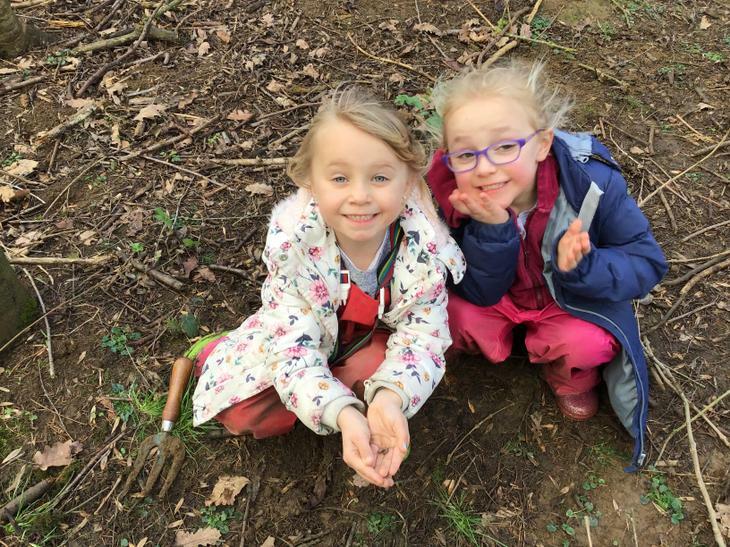 Miss Longman's class got to explore the farm and do some pond dipping before lunch. 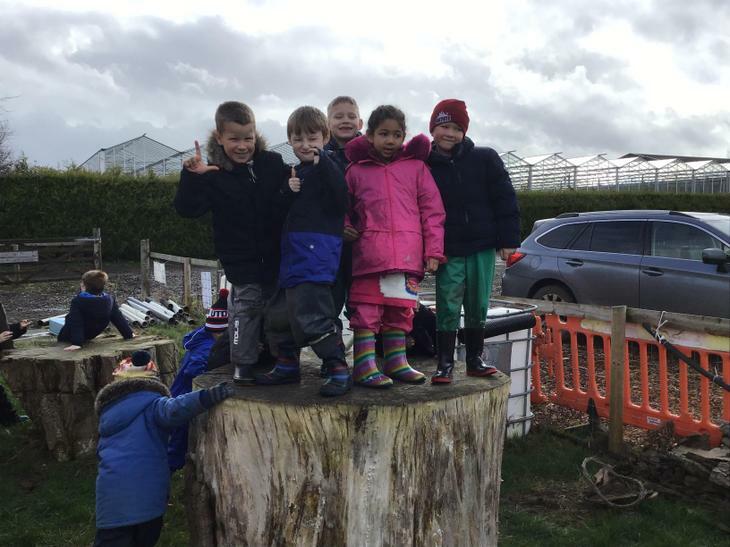 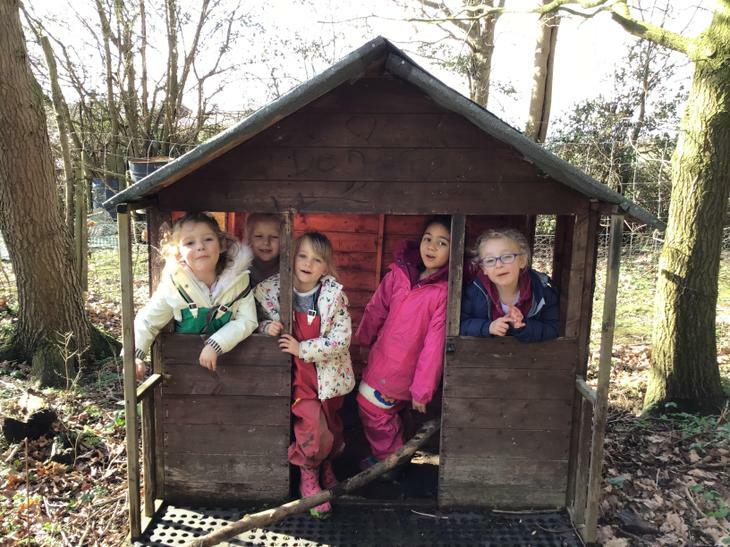 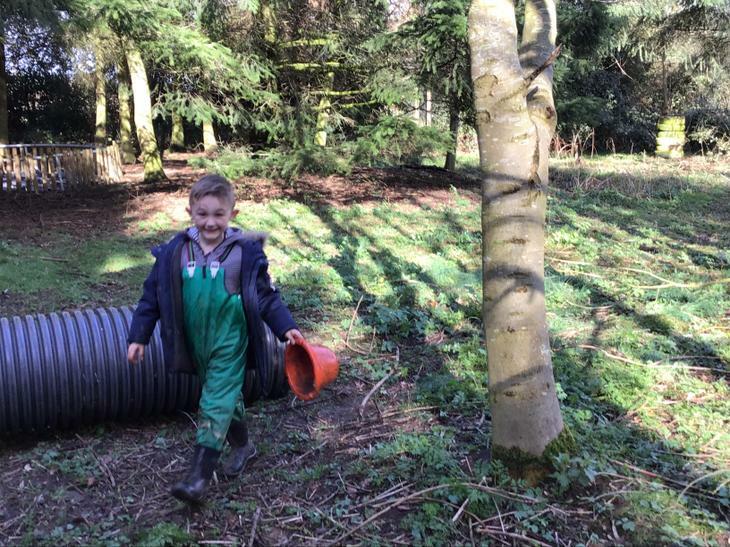 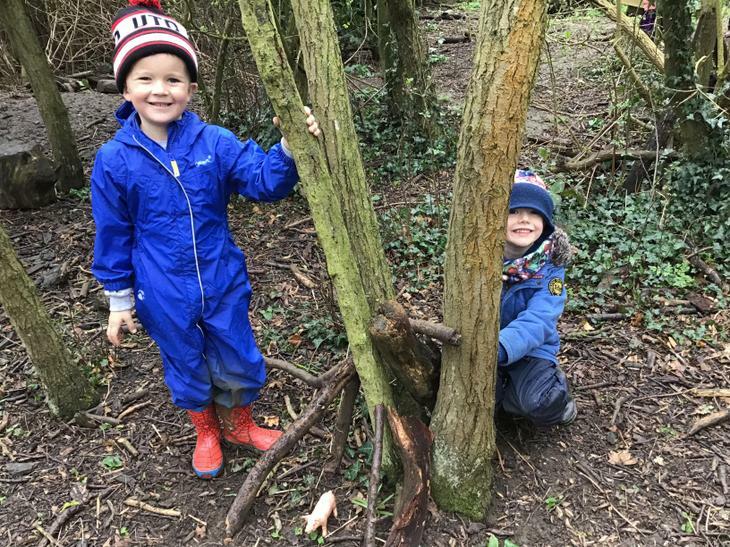 Mrs Eksteen's class took a trip to the wood where they had to make the perfect home for their own farm animal. 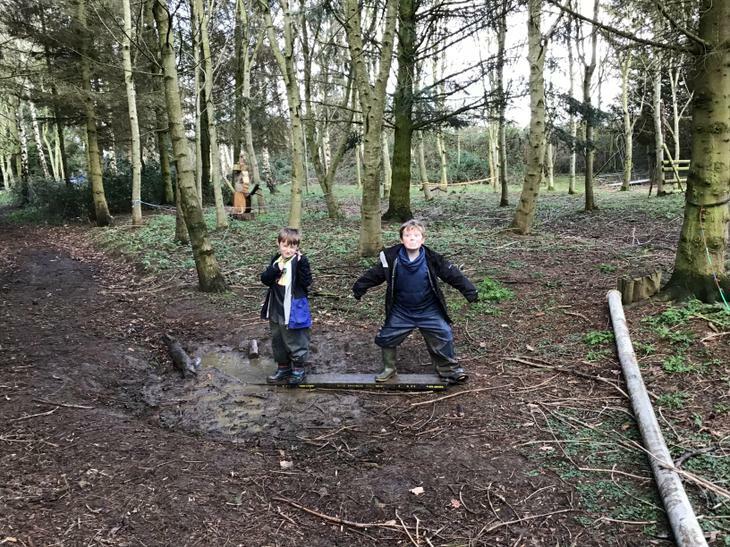 After lunch we got to play in the wood which was so much fun. 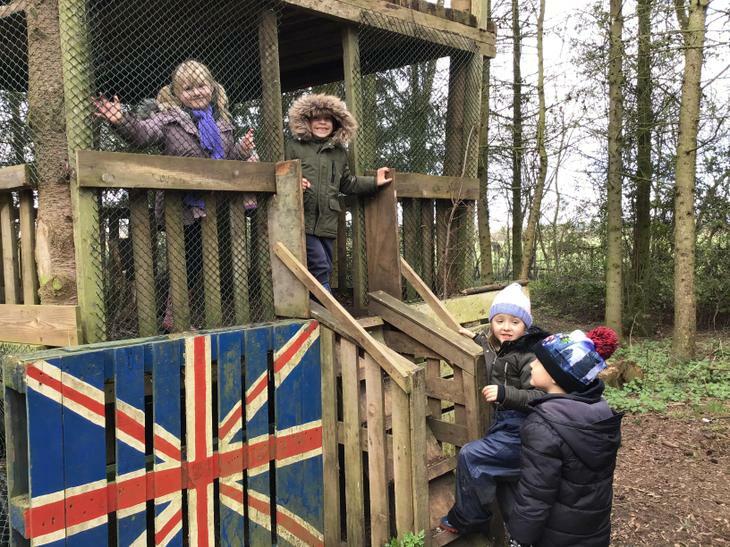 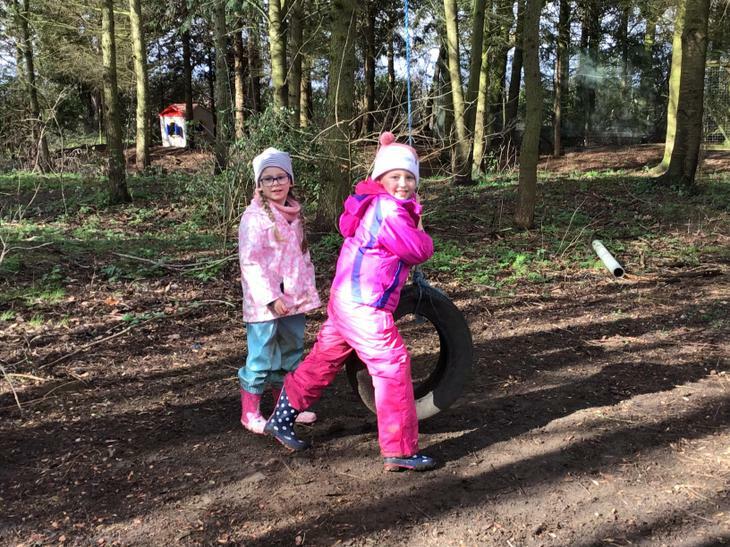 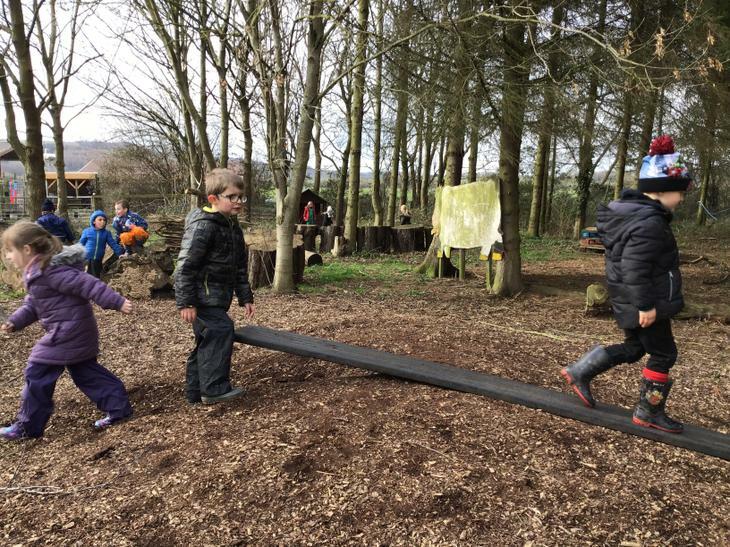 We were all very adventurous and brave and had a fantastic day. 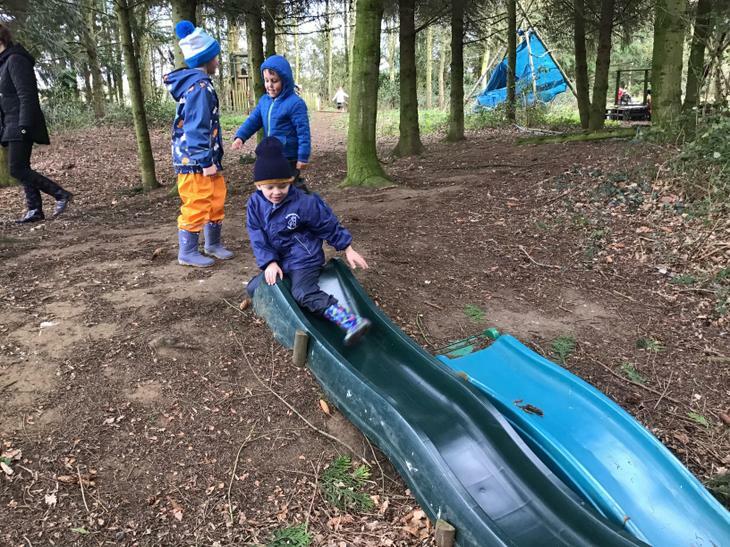 We wish we could go again! 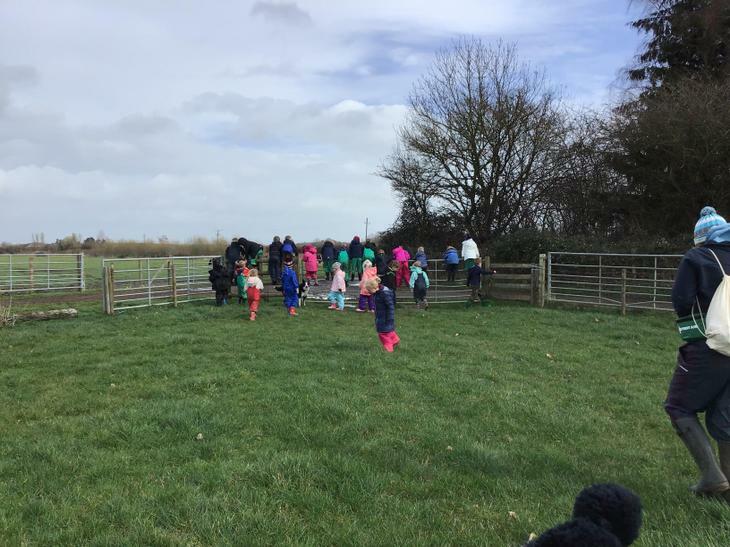 The children in year 1 have leapt into spring in a froggy fashion! 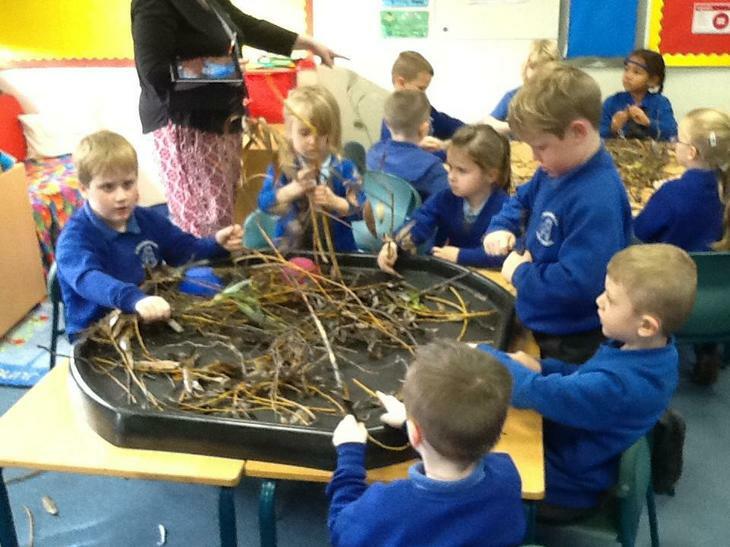 Both classes are caring for some tremendous tadpoles! 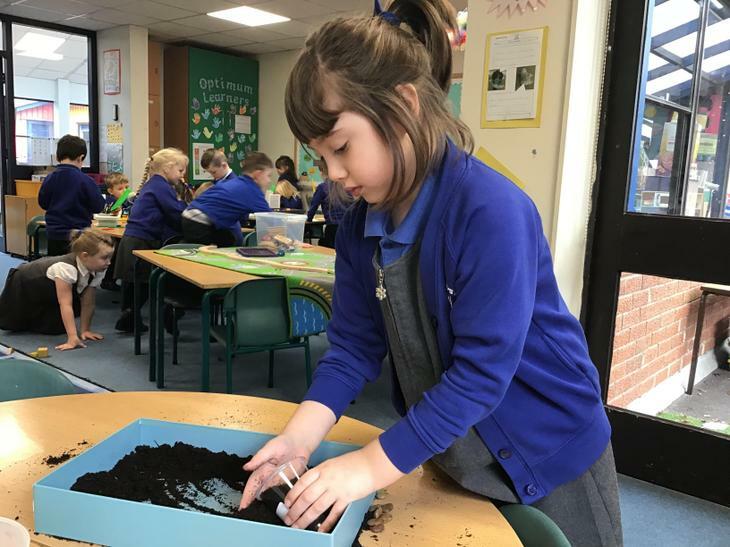 We have watched them grow from frogspawn to tadpoles and we are now waiting to see which class gets the first tadpole with legs! 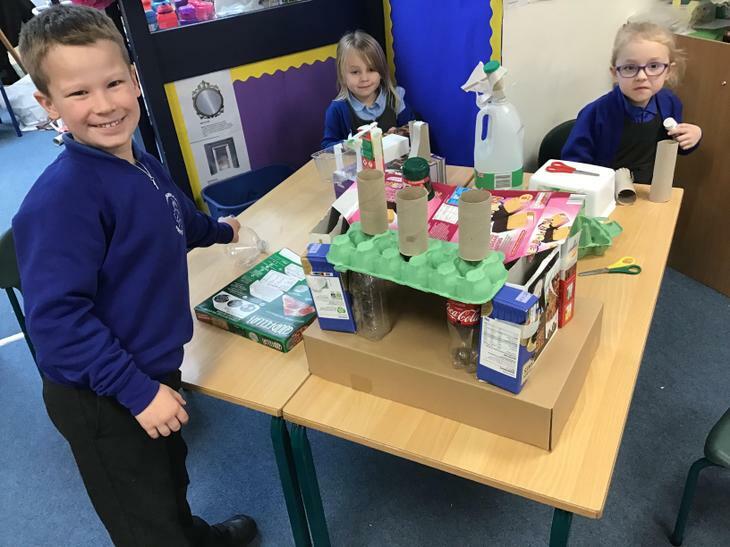 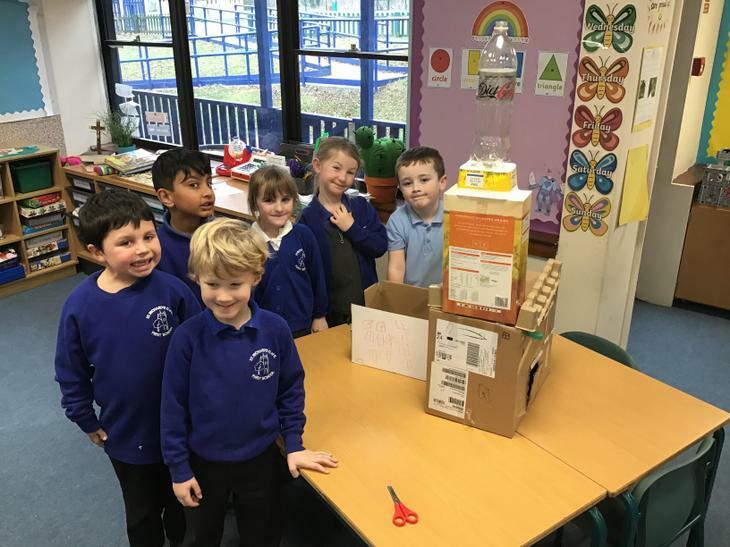 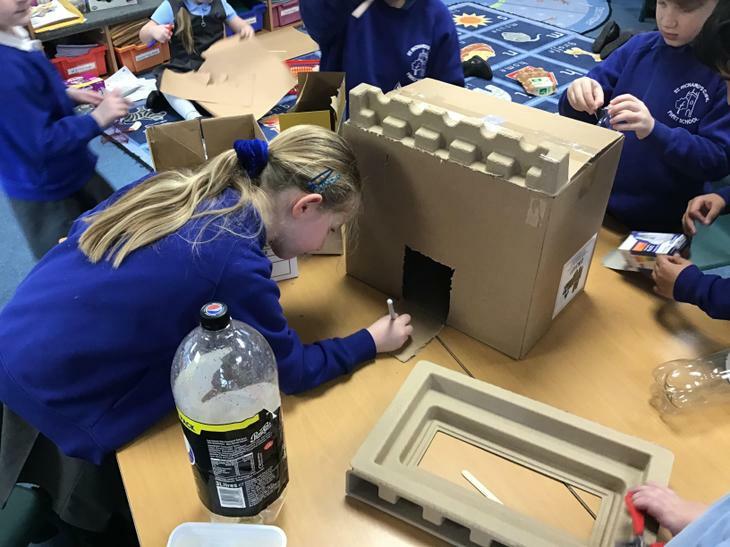 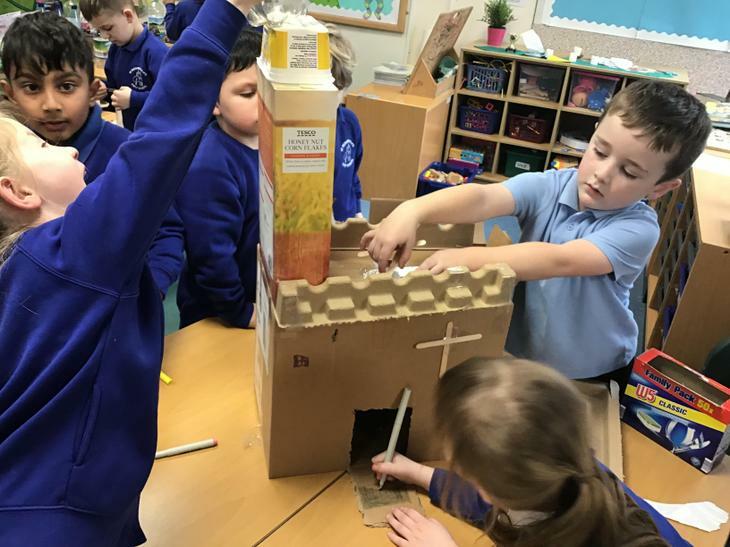 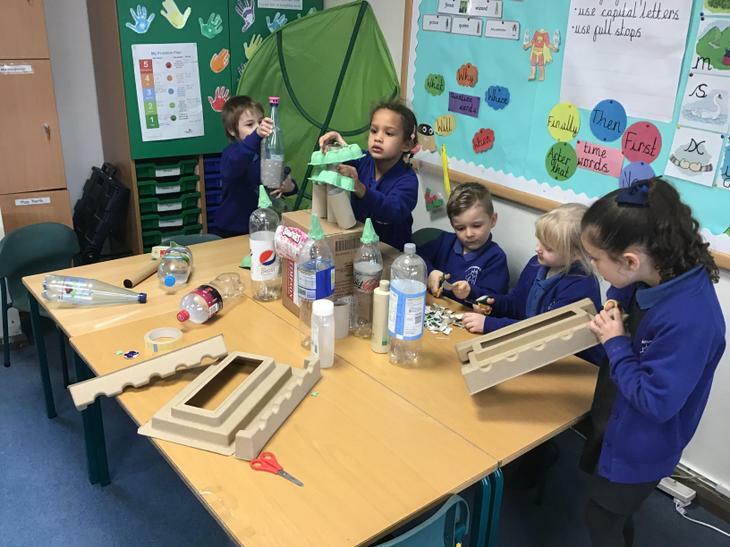 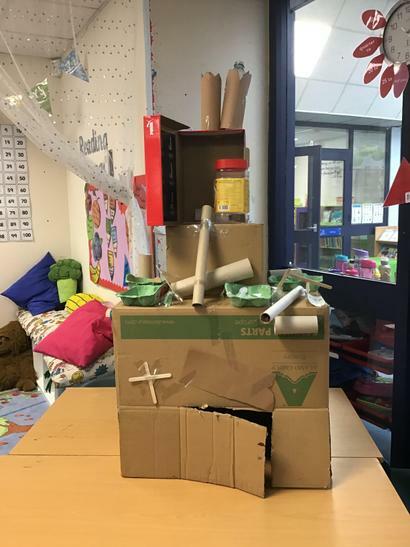 To launch our new topic 'Once Upon a Time', the children had a go at making fantastic castles out of recycled materials. 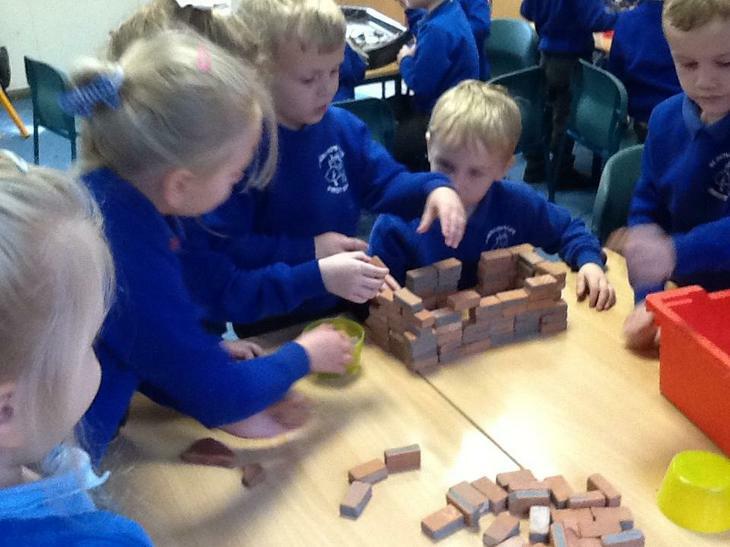 They looked at real life castles first to see their designs and characteristics. 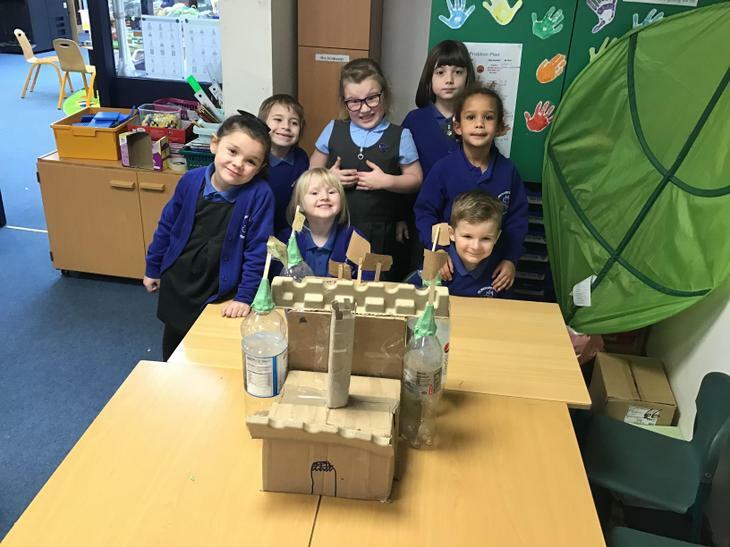 They then worked in groups to make their own castle. 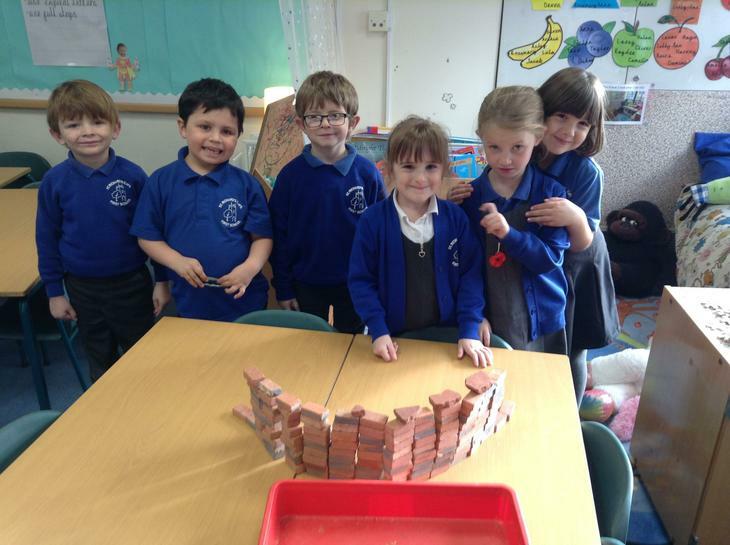 They showed excellent teamwork skills and creativity and the end product was amazing! 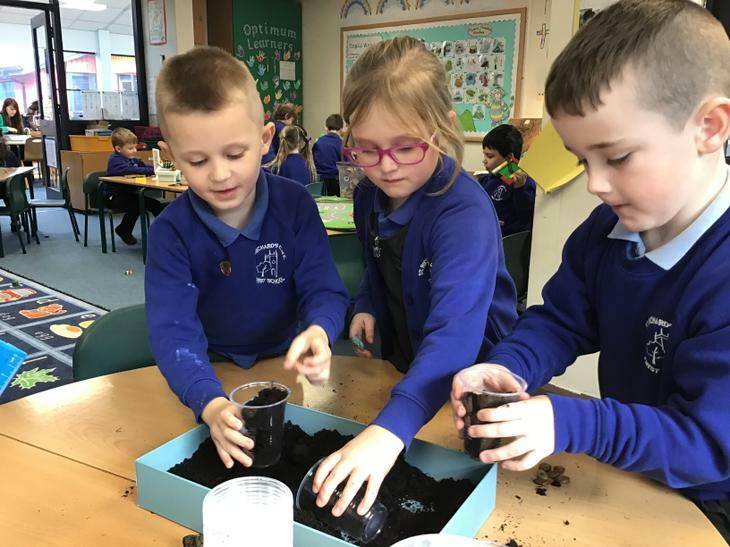 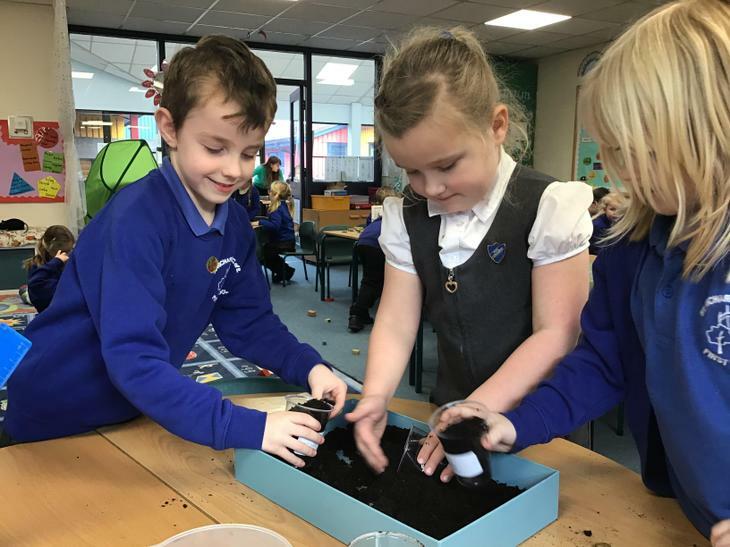 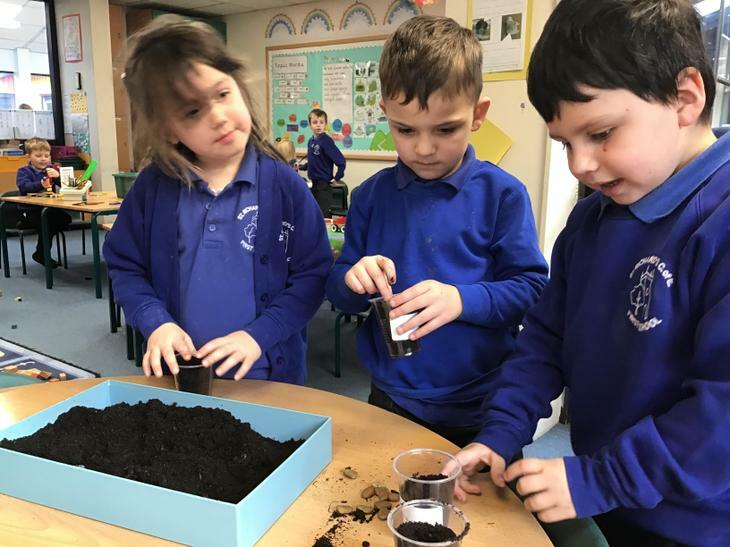 We have been planting their own magical beanstalks in Science. 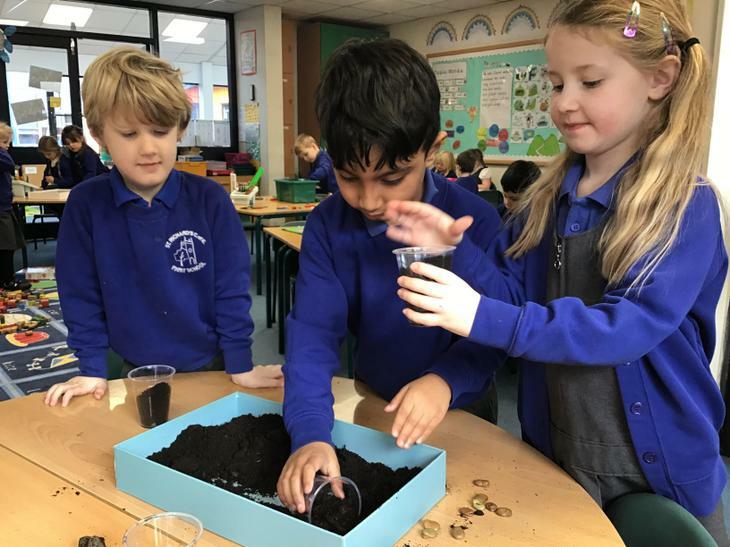 We carefully planted them in soil and gave them water, sunlight and love. 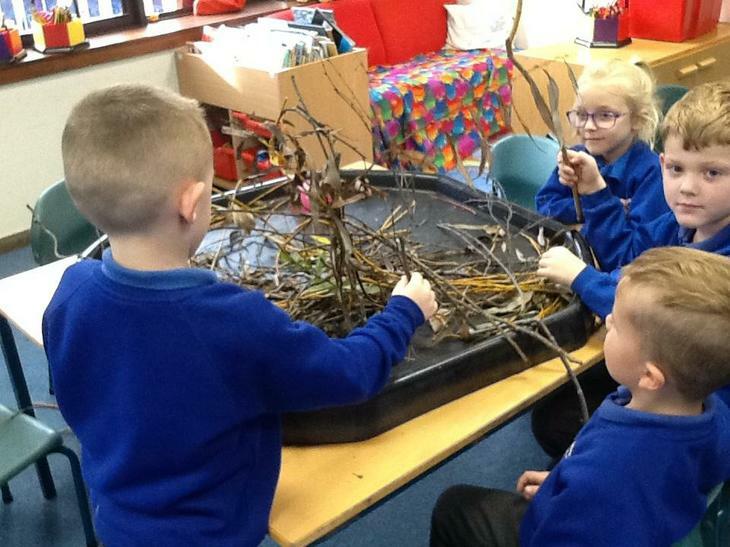 We really hope that they grow as tall as Jack’s beanstalk in the story we have been reading! 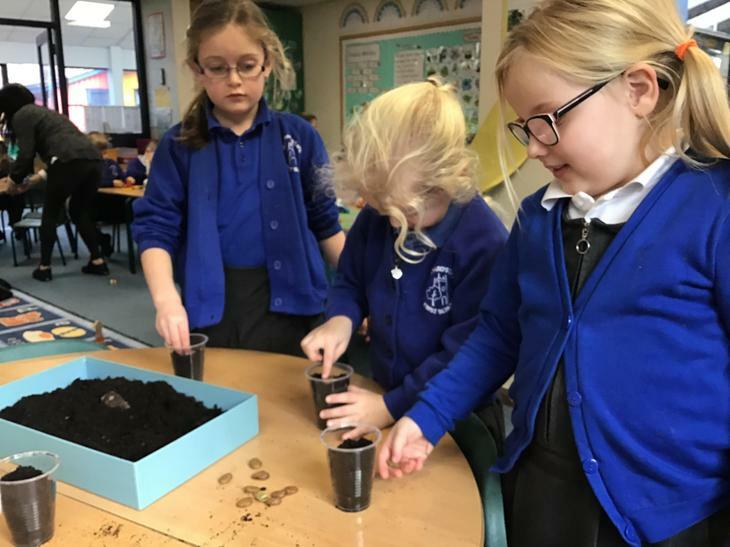 We are keeping a Bean Diary to track the changes in each of our beans so can’t wait to check on them each week. 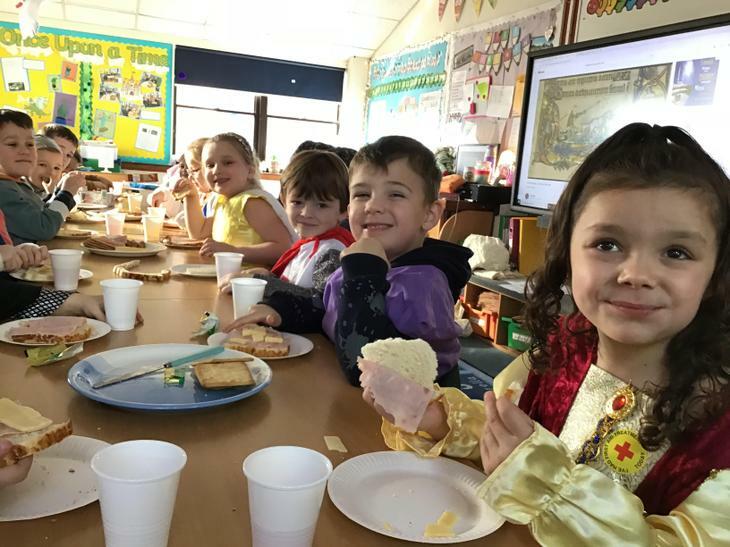 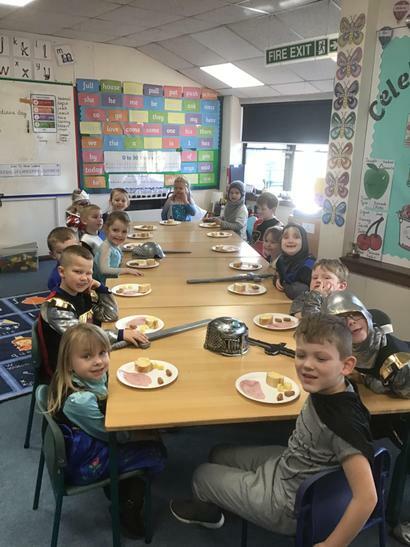 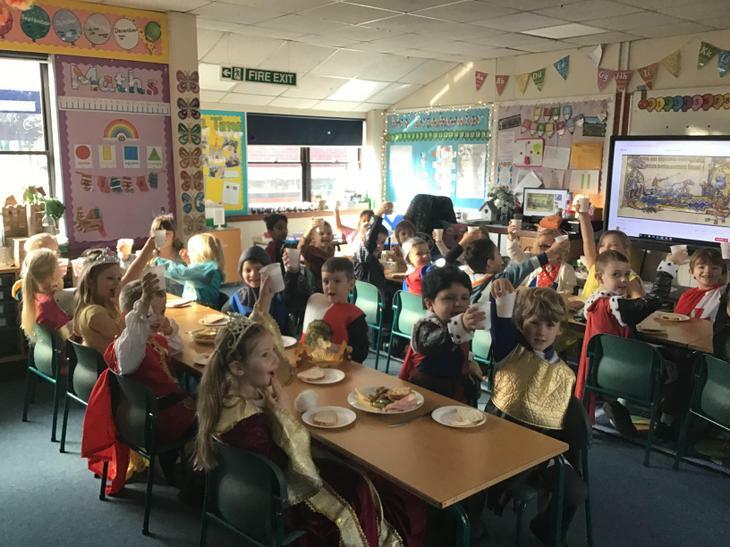 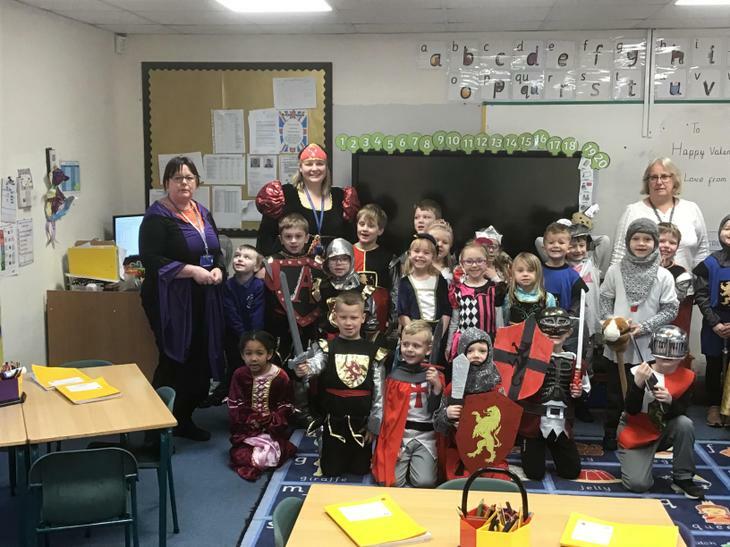 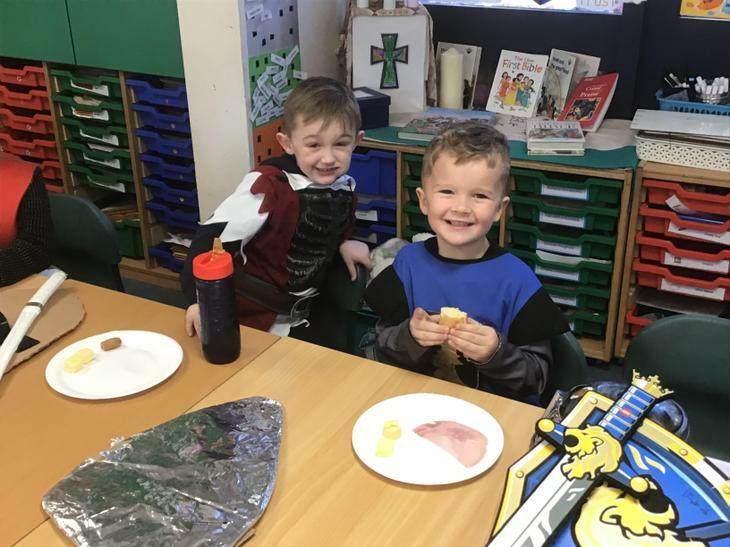 To finish our topic we had a fantastic medieval day. 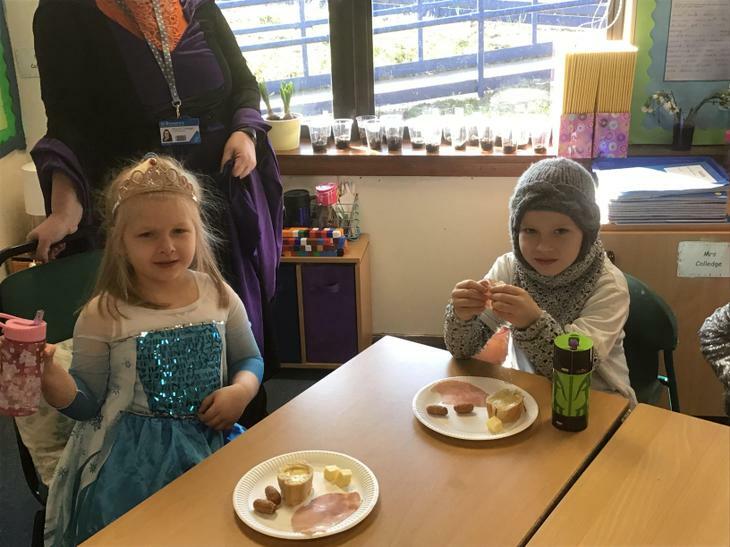 We dressed up in medieval clothes. 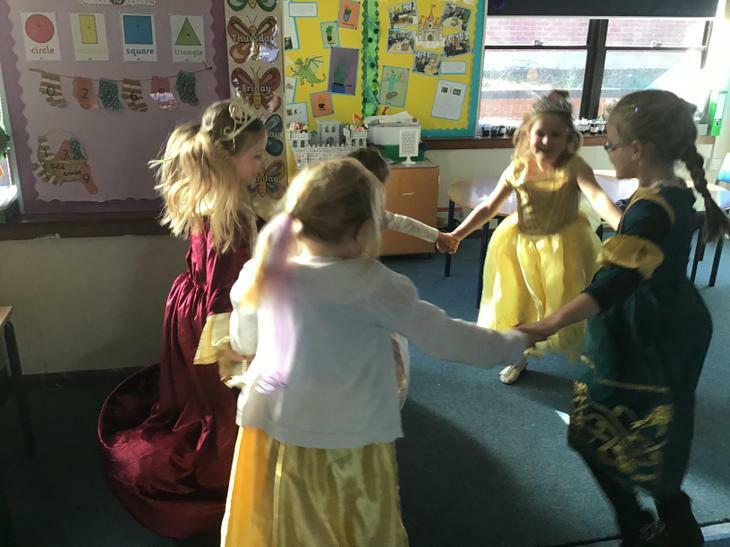 Some of us were princesses, princes, kings, queens and knights. 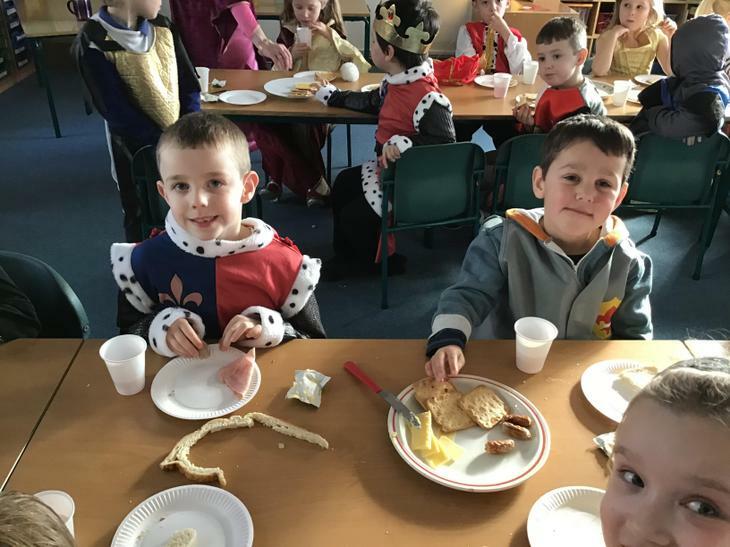 We had a super banquet and danced to medieval music. 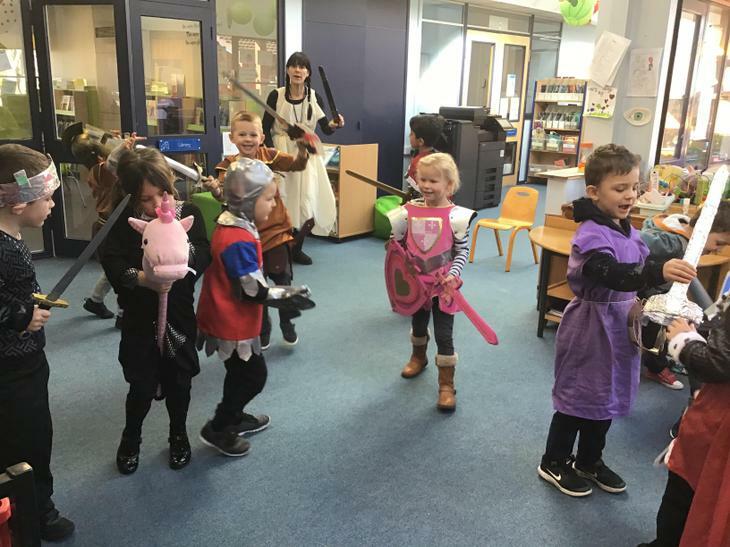 To top it off we had a knights melee with our swords. 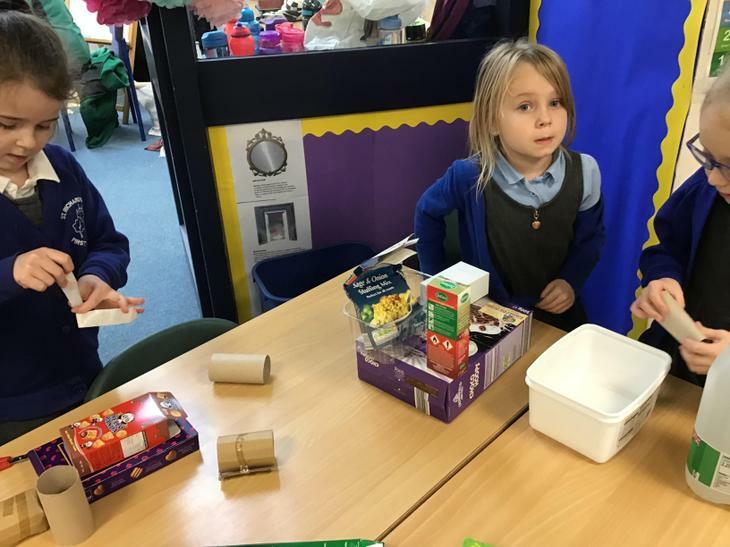 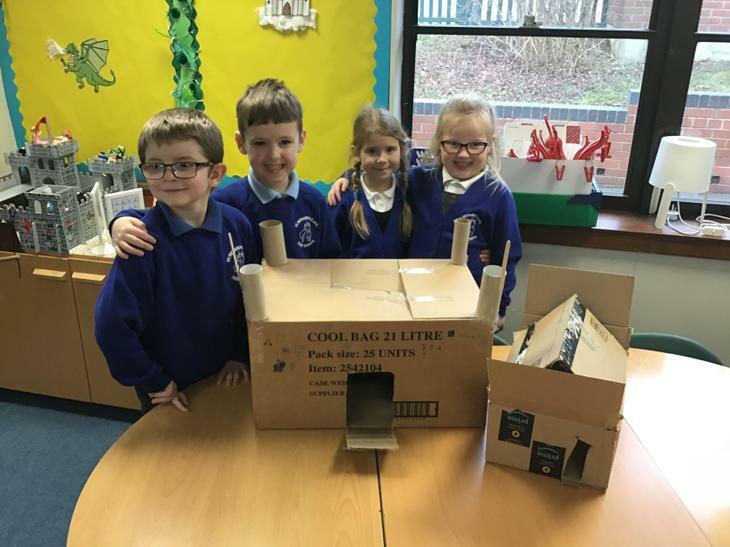 We launched our new topic, The Three Little Pigs, by having a science investigation morning to find out which material would really be the best for a pig house. 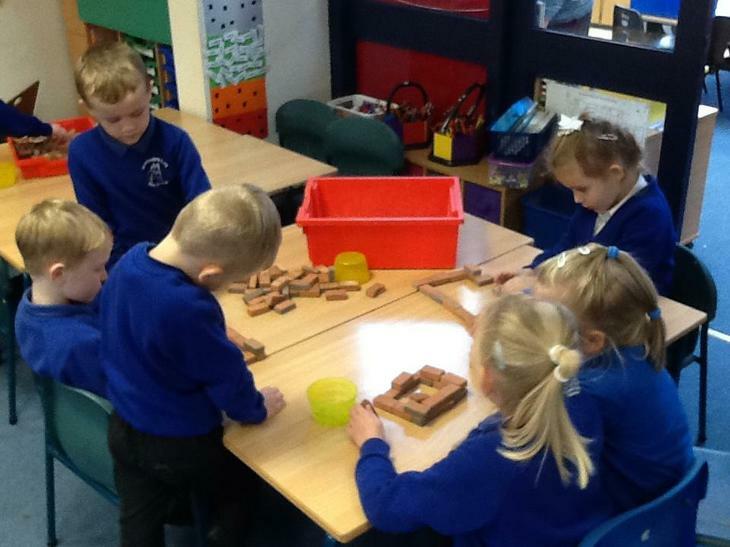 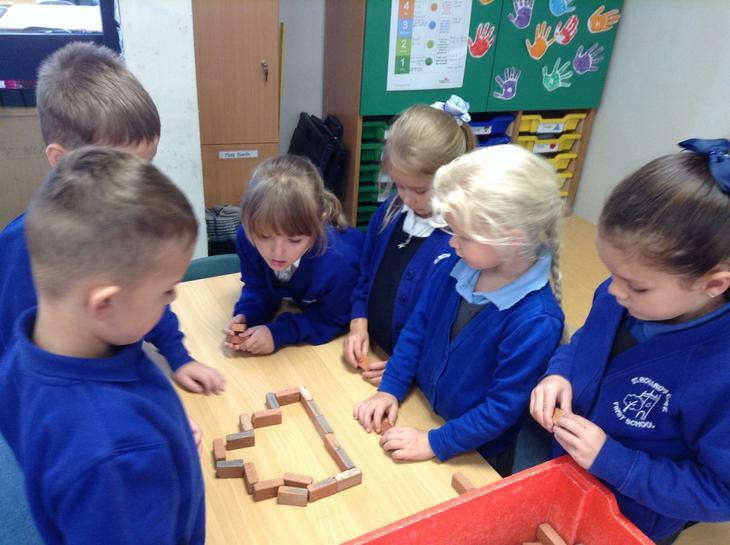 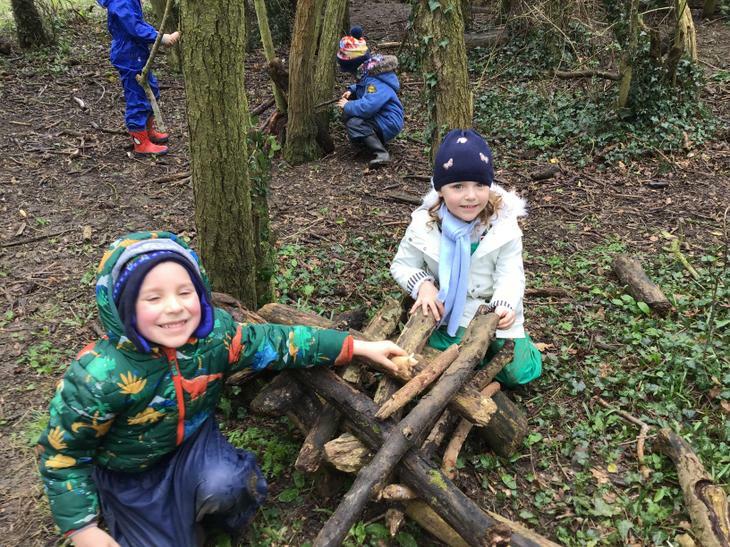 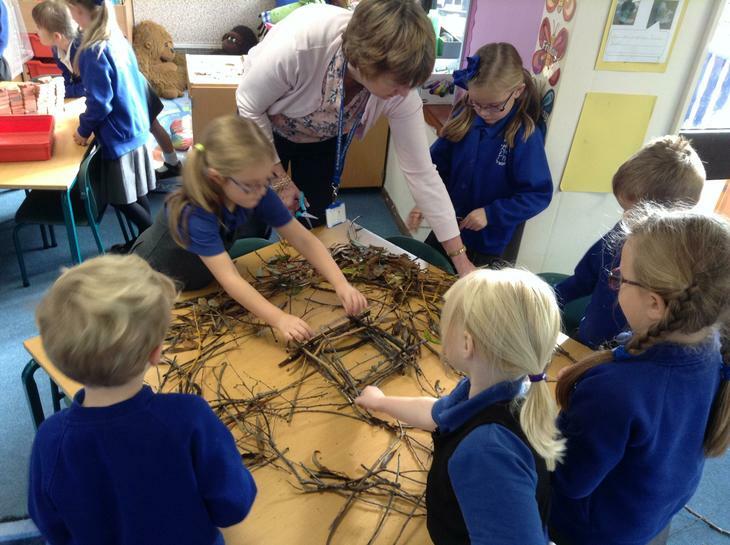 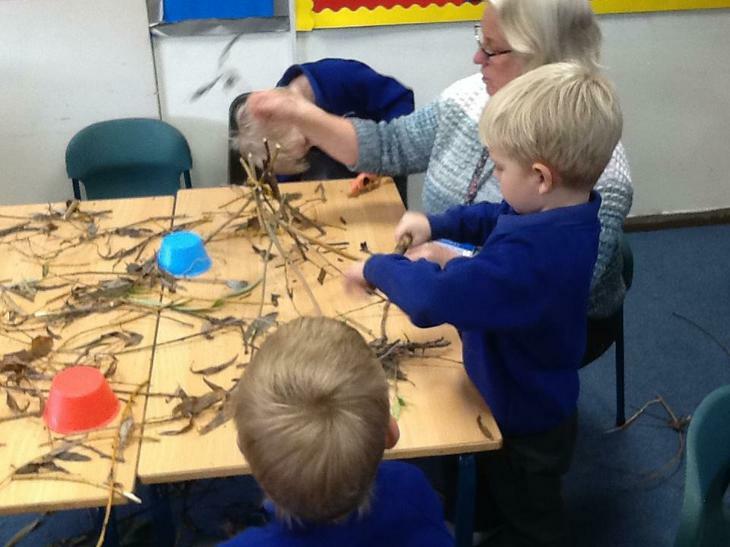 We worked together to build houses out of straw, sticks and bricks. 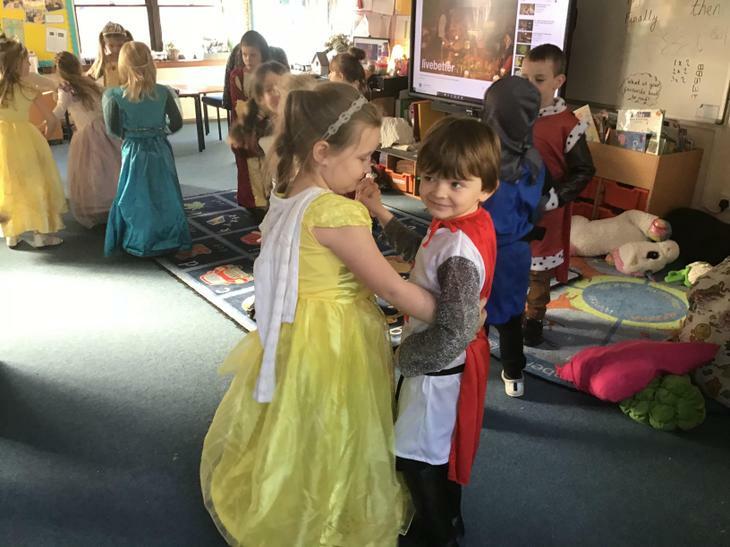 Suddenly, a big bad wolf appeared! 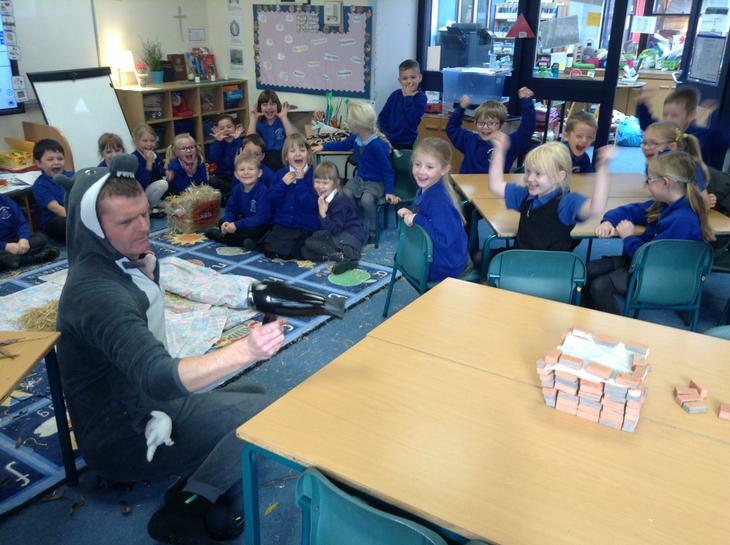 He must have smelt our little piggies and tried his best to blow down our houses. 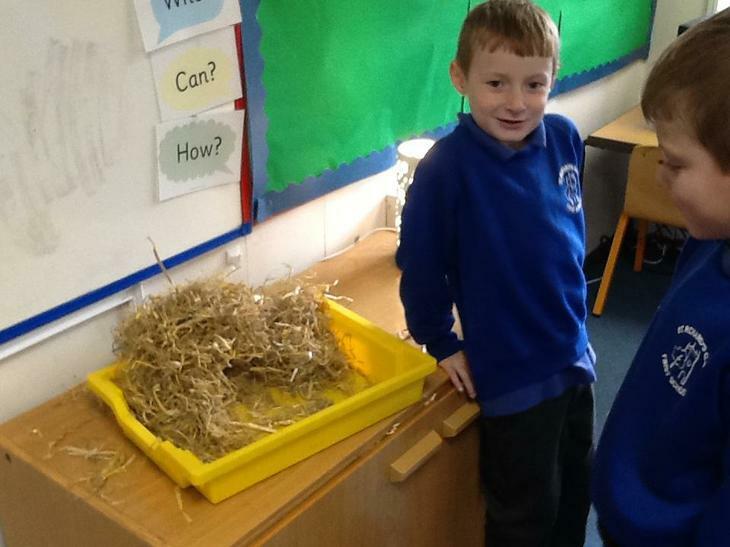 He managed to get two of them, the straw and stick house pigs, but inside our brick house the final pig was safe. 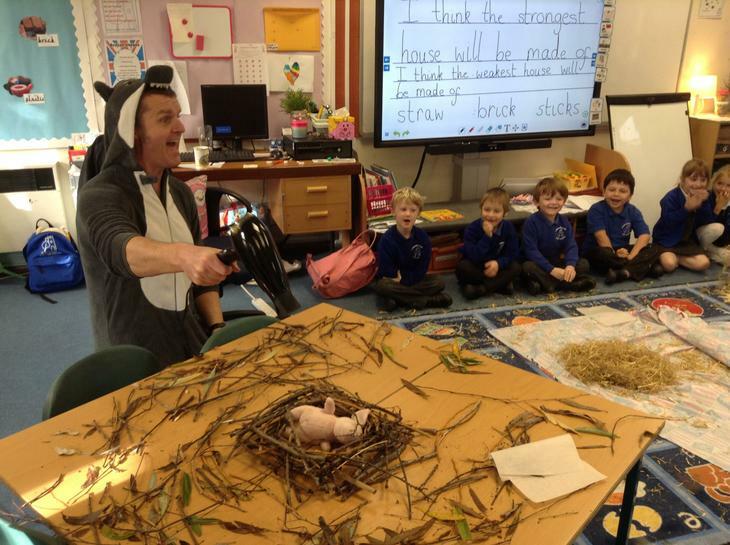 The wolf was so angry that he couldn't get the last pig that he ran away, huffing and puffing. 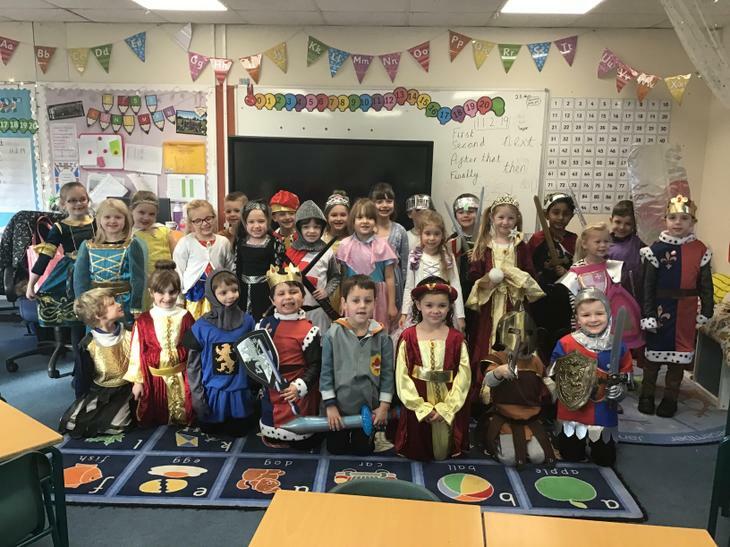 To finish off our first term the children performed their nativity play. 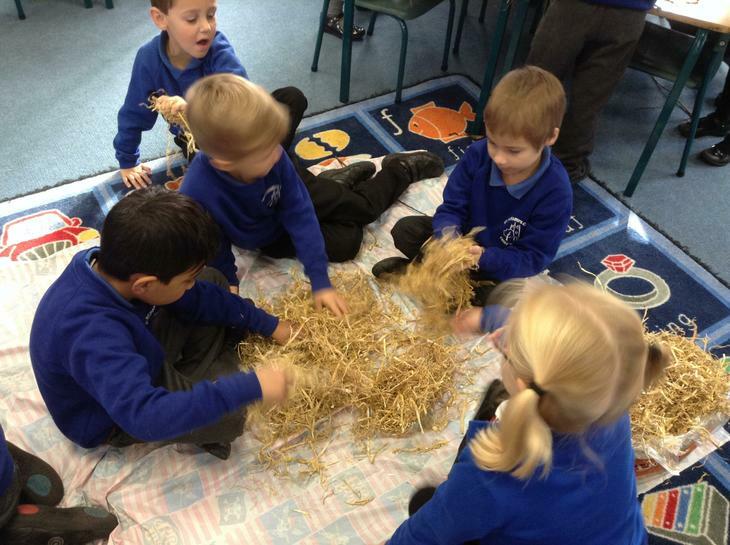 It was a fantastic play where all of the children had a part to play in telling the story of the birth of Jesus. 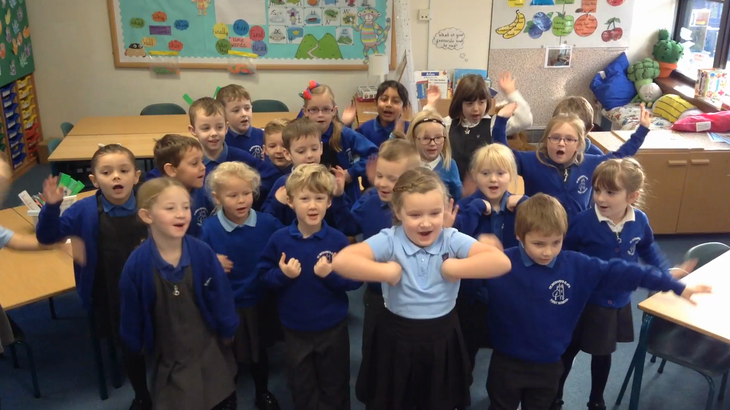 Here is a video of some year 1 children practicing one of the songs from our nativity. 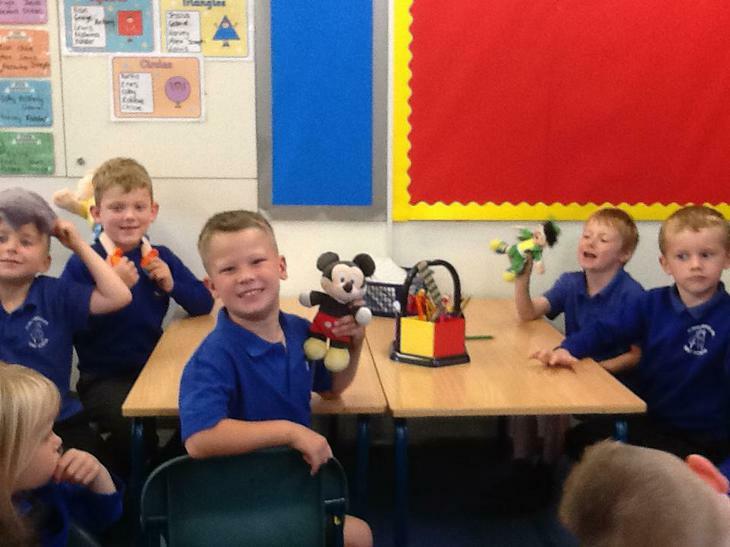 To launch our first year 1 topic, we brought some very special friends into our new classrooms. 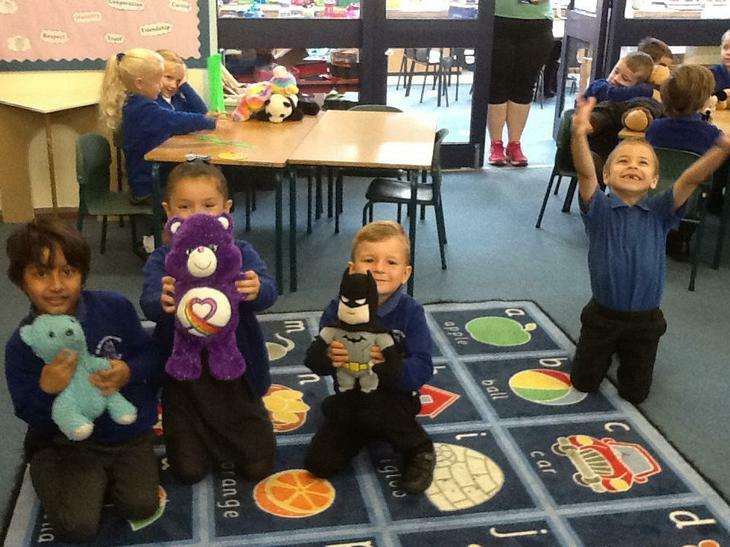 Our favourite teddies came to school! 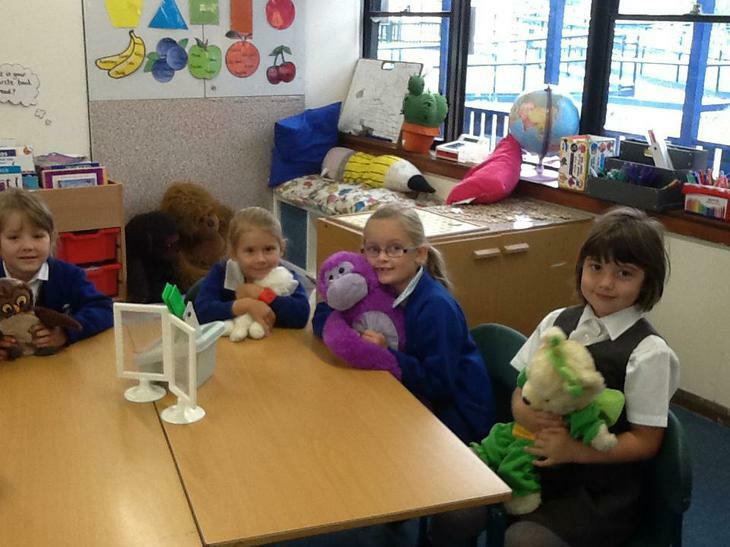 We had a great day with them acting our different stories and writing fabulous descriptions about them. 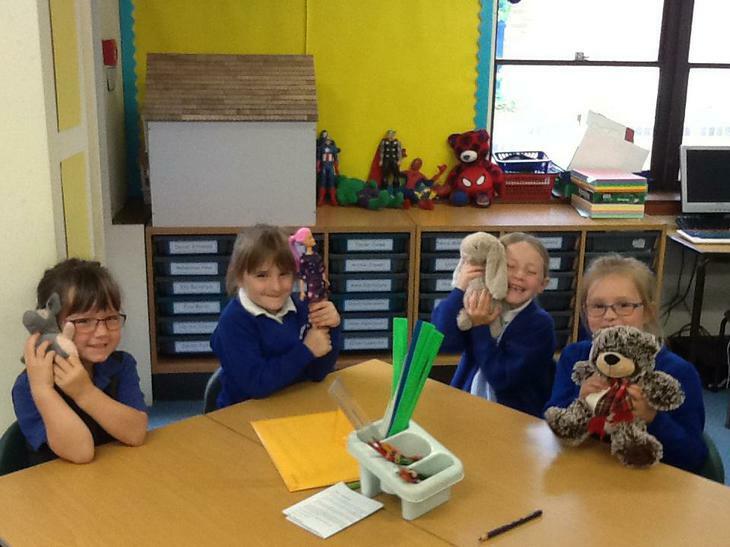 Later on in the week we are going to write stories featuring our special friends as the main characters! 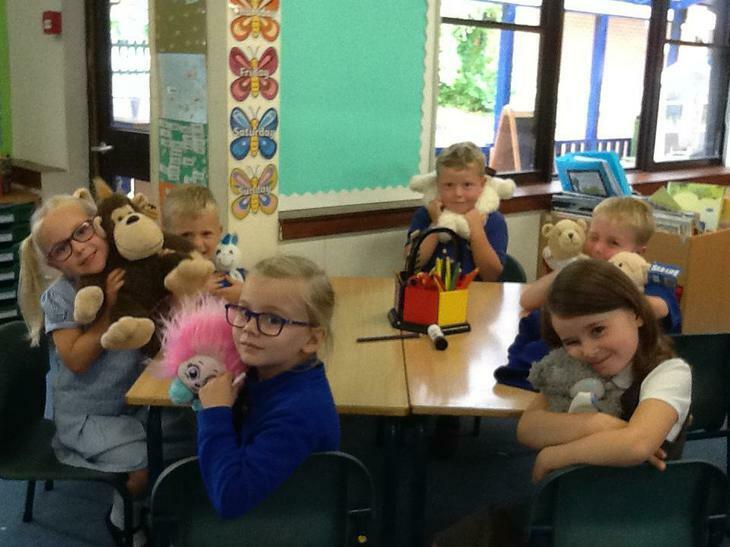 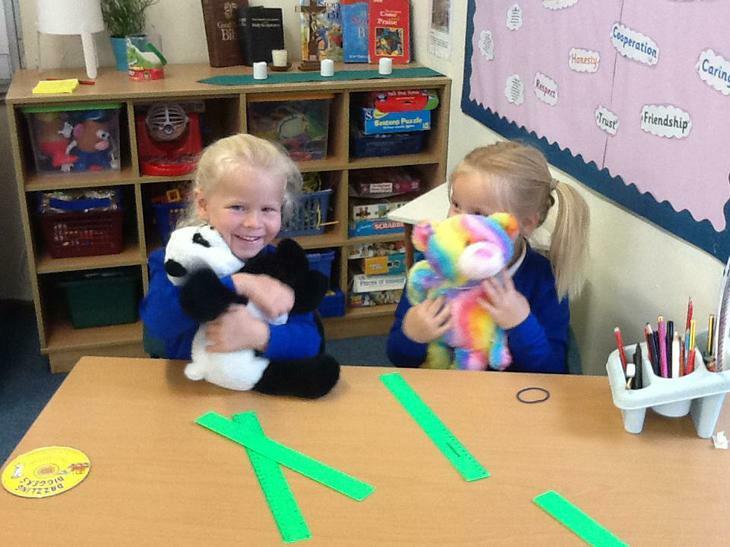 Here are some pictures of us having a great time with our cuddly buddies! 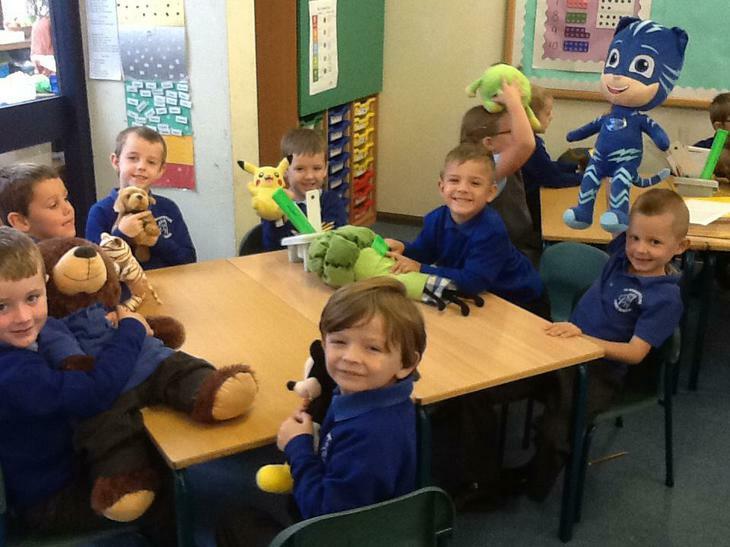 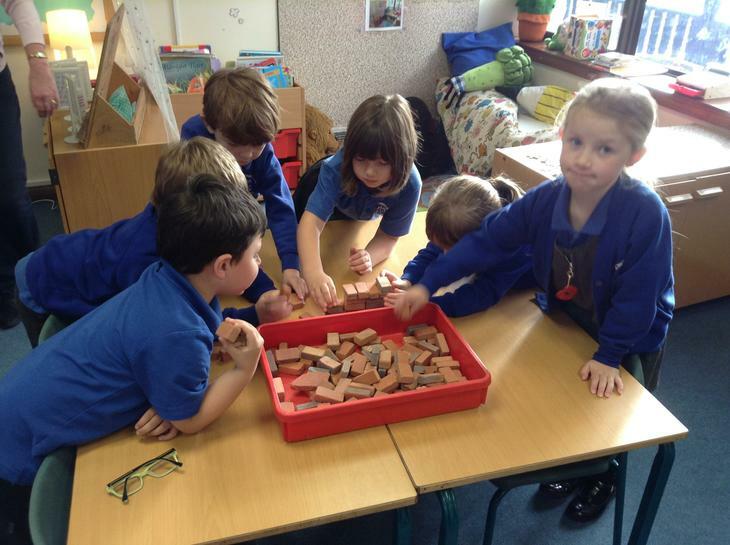 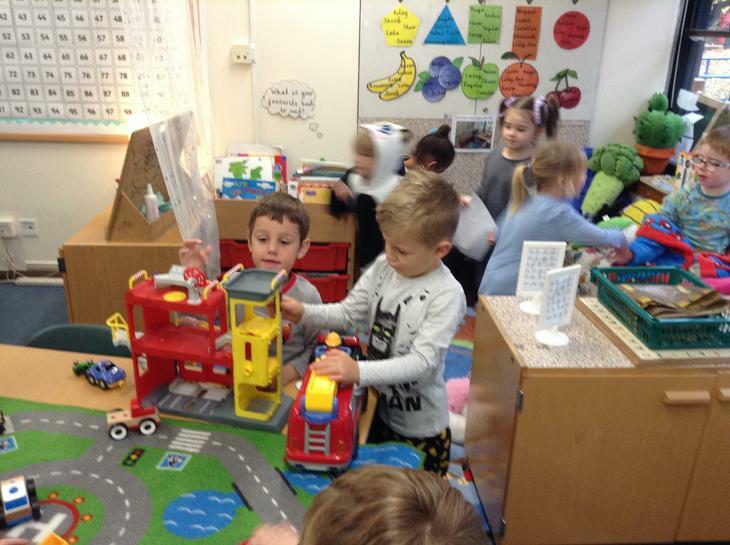 This term in Year 1 something very strange happened. 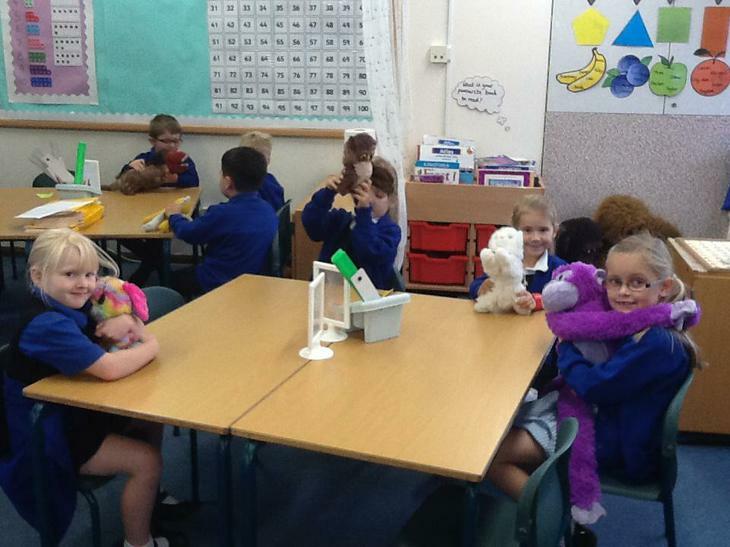 One Tuesday morning we came in to find all sorts of scared vegetables taped up around the classroom and in the shared area. 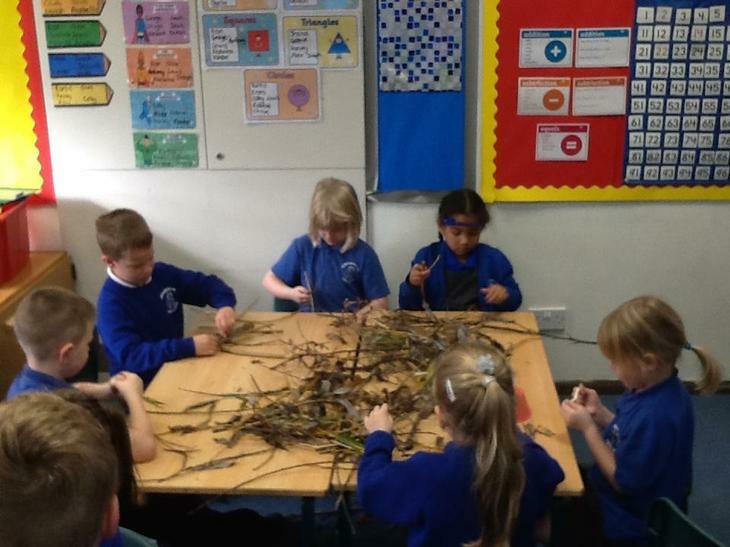 We worked hard to solve the mystery of who did this to these poor veggies! 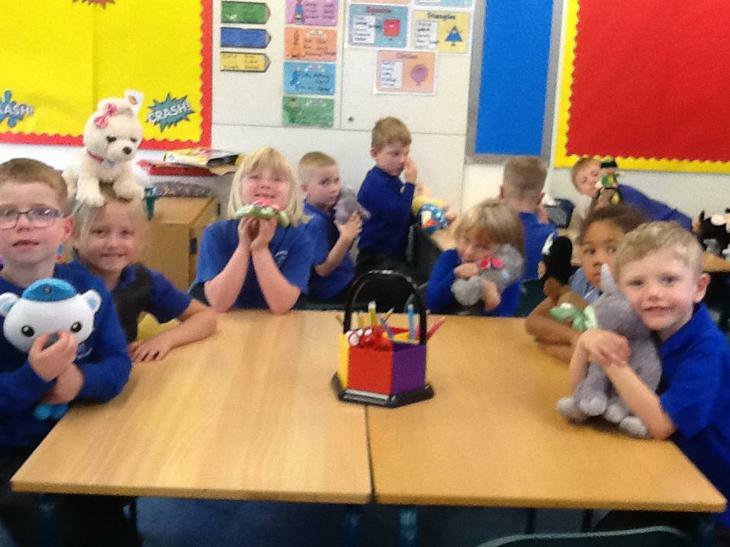 On Wednesday we had a special letter delivered from the office. 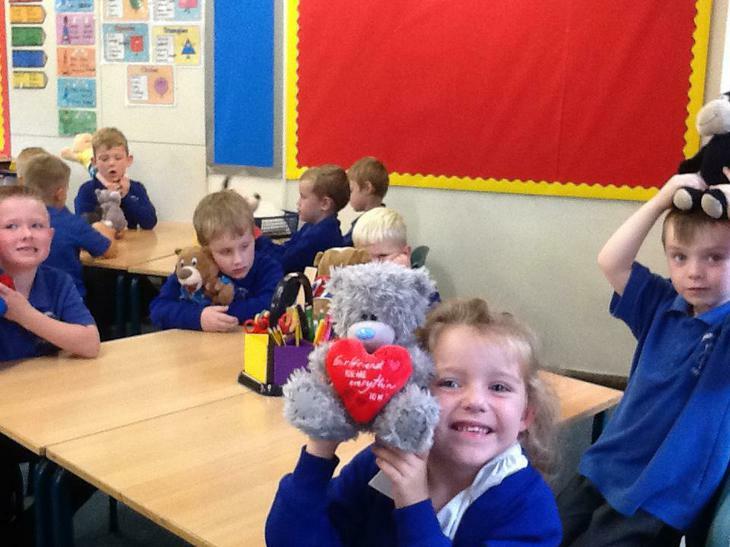 It was addressed to the children in Year One. 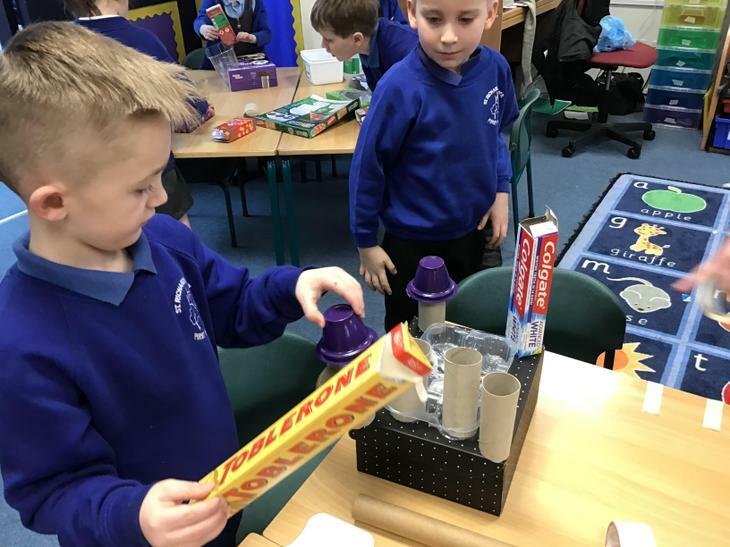 It was from an evil pea! 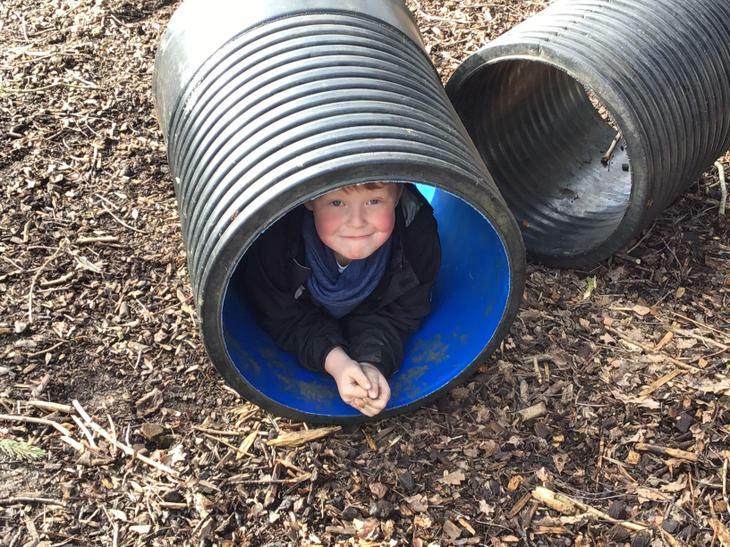 He told us that he had trapped the vegetables. 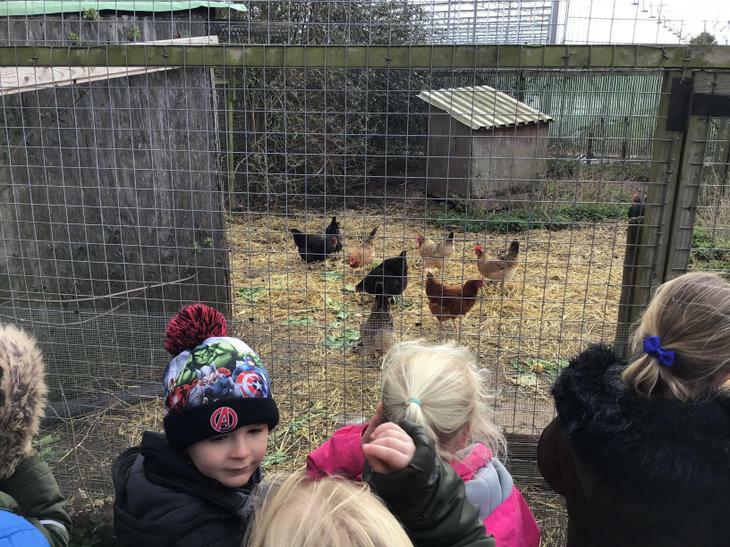 We decided to try and free them so have written to Supertato! 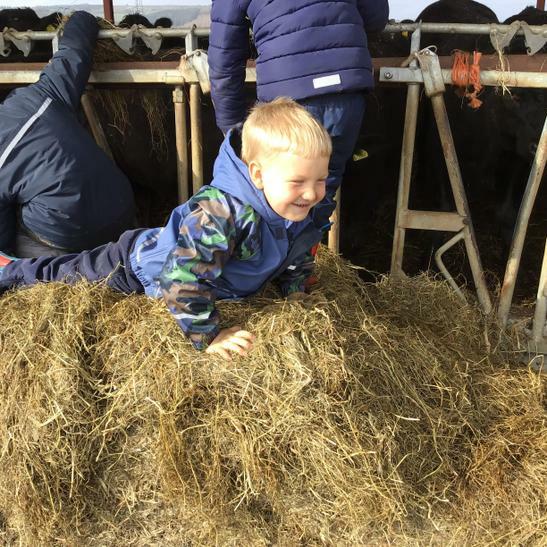 We hope he will come to the vegetables rescue! 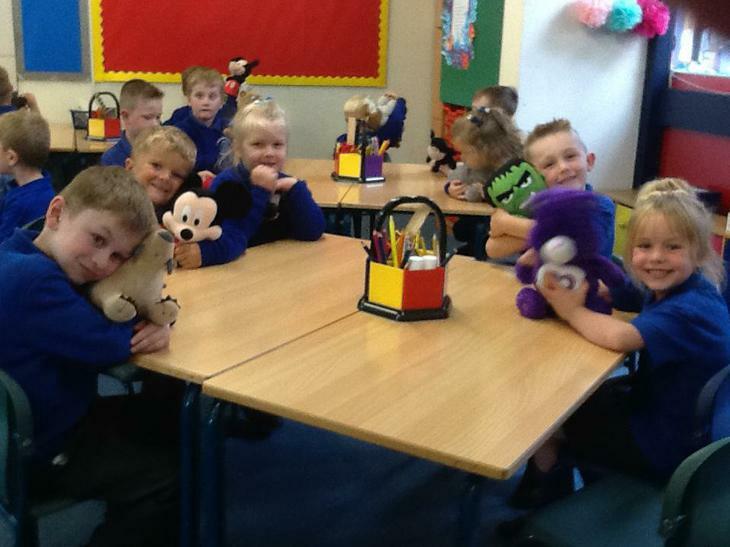 On Friday we came into our classrooms to find that Supertato had read our writing asking for help. 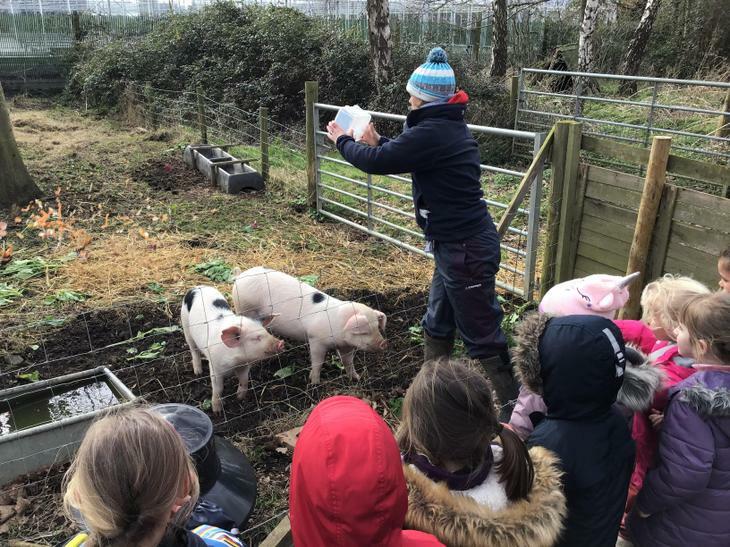 He had freed the poor veggies! 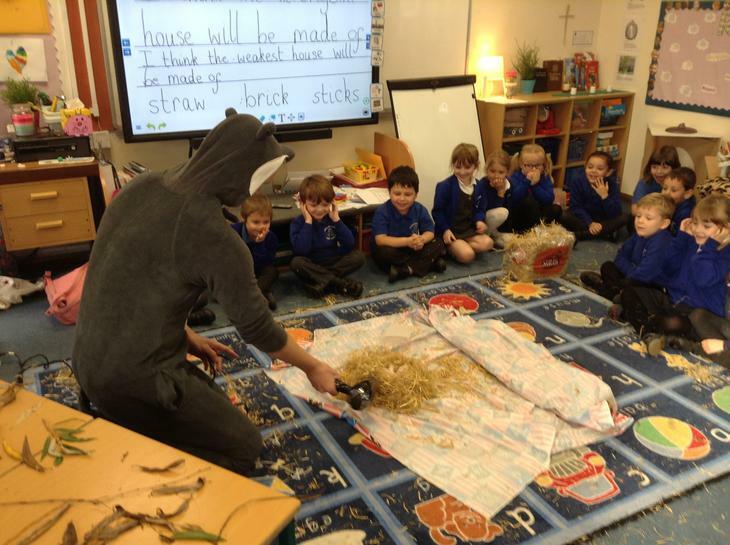 Later in the day, Mr Ridlinton was showing round a special visitor. 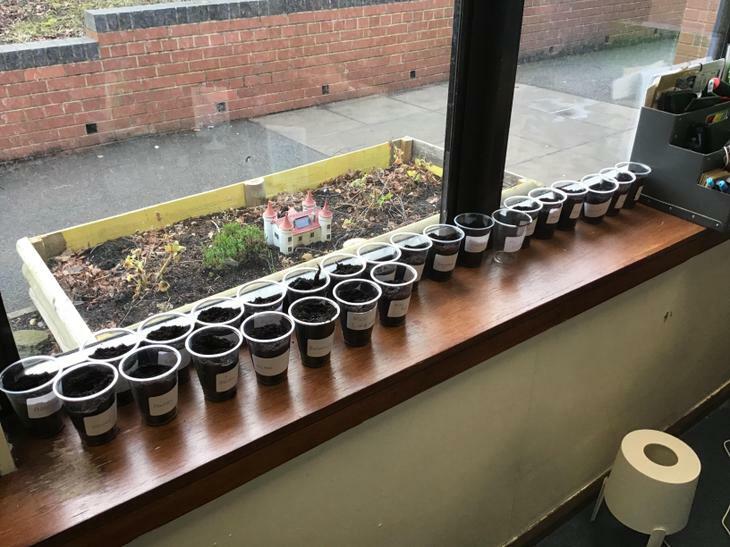 It was Evil Pea! 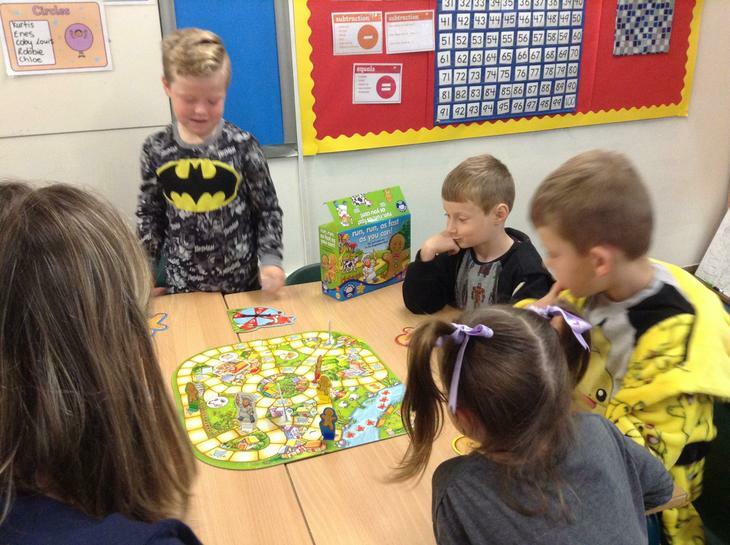 He was angry that we had foiled his evil plan but Mr Ridlinton sent him on his way and told him to never come back. 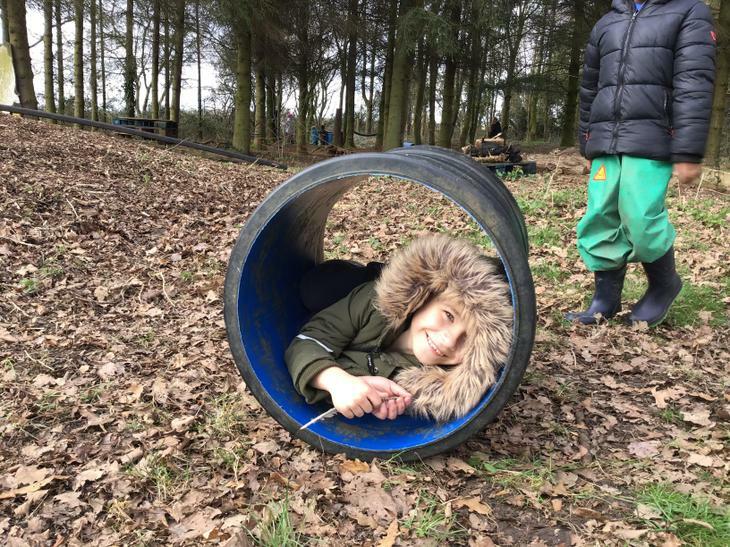 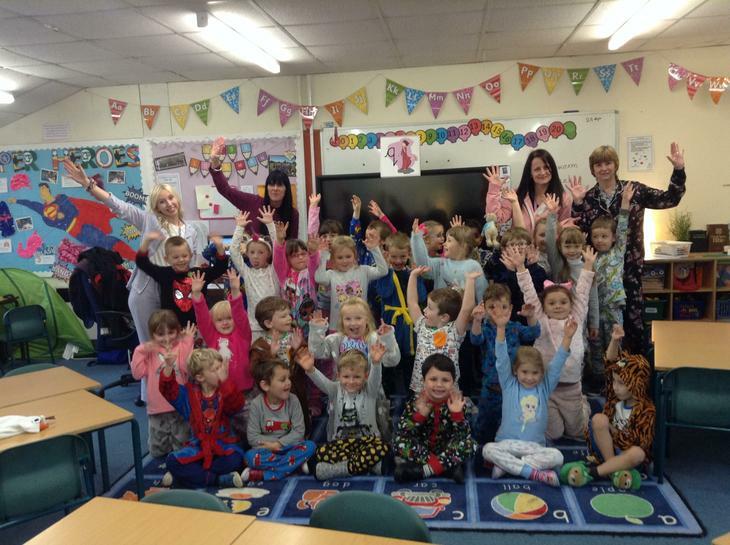 To celebrate finishing our first half term, we had a fantastic and relaxing pyjama day! 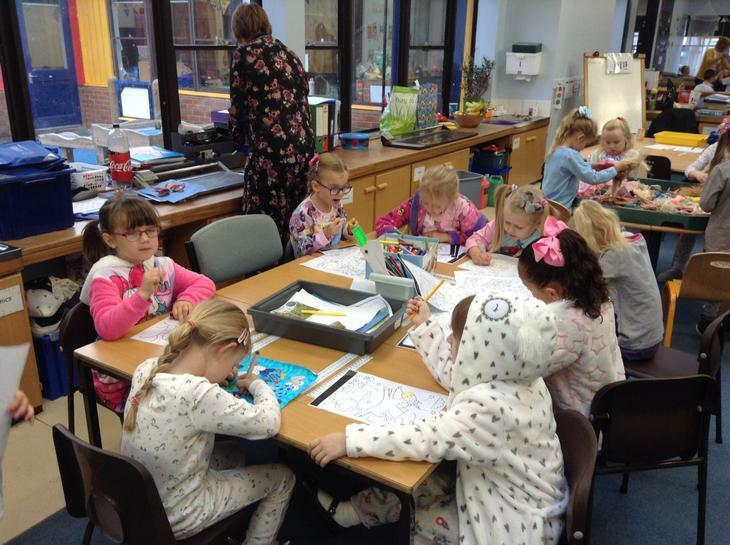 We all wore our cosiest jammies and relaxed playing board games, colouring and other activities in the morning. 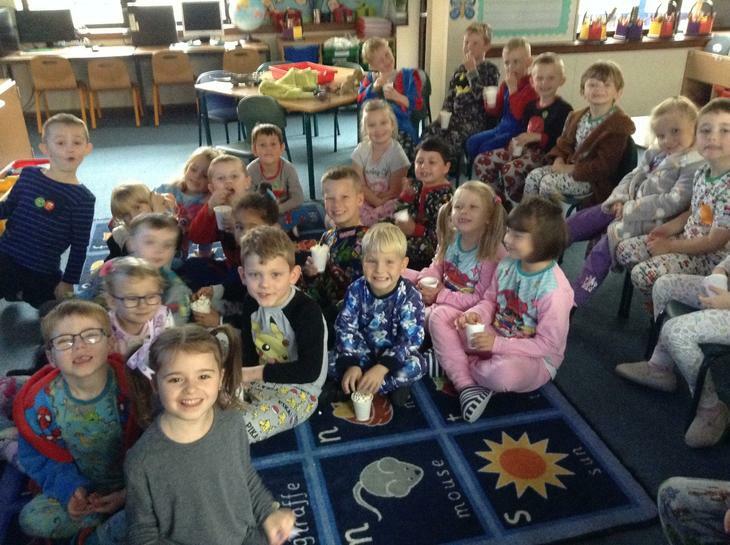 In the afternoon we had a super treat and watched a film. 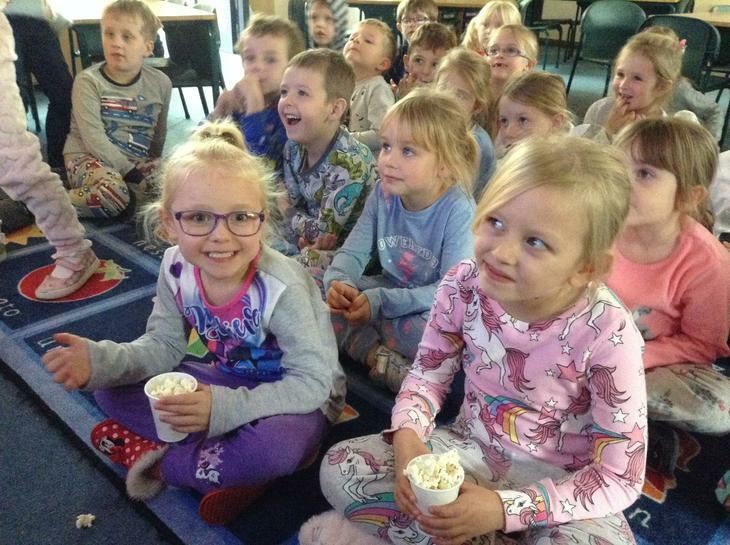 We had crisps and popcorn to snack on! 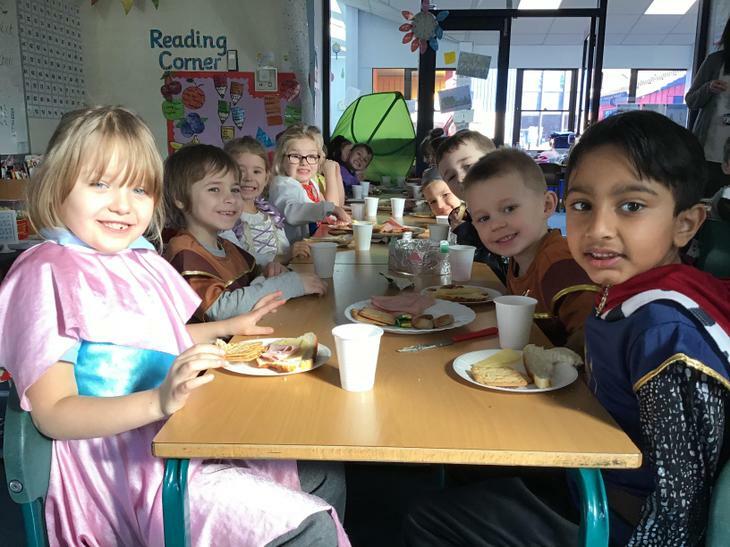 We have worked so hard and settled into year one so well; this relaxing day was just what we needed.